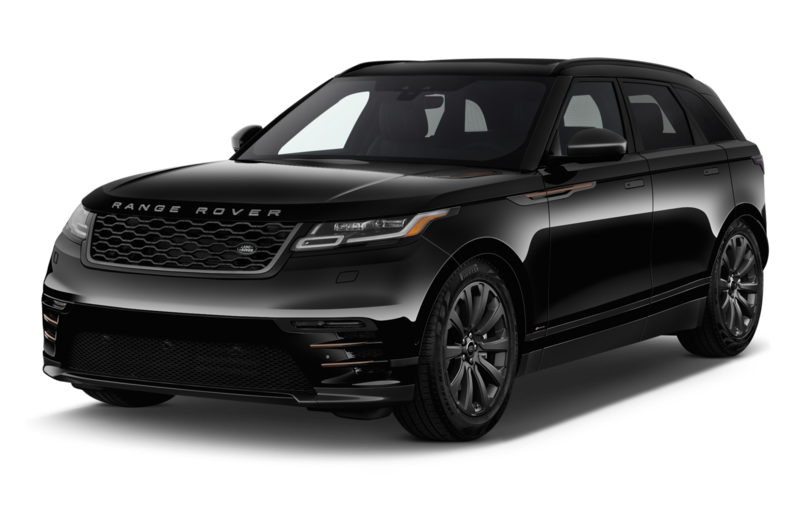 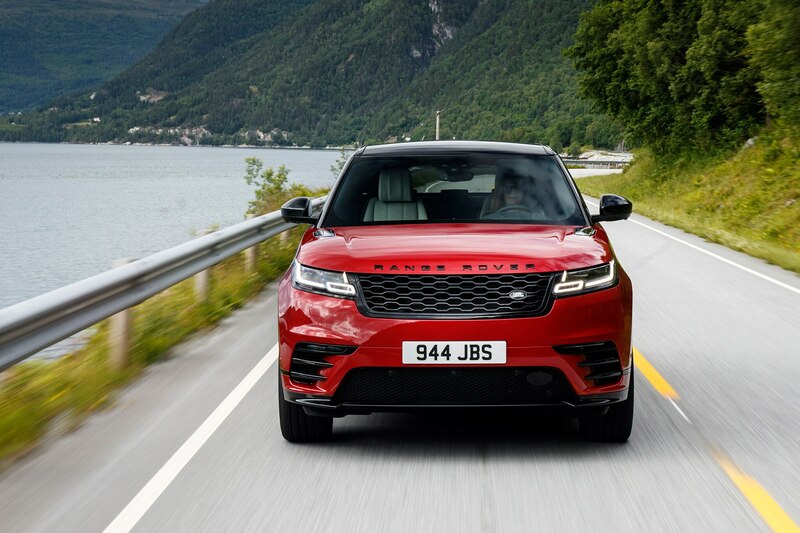 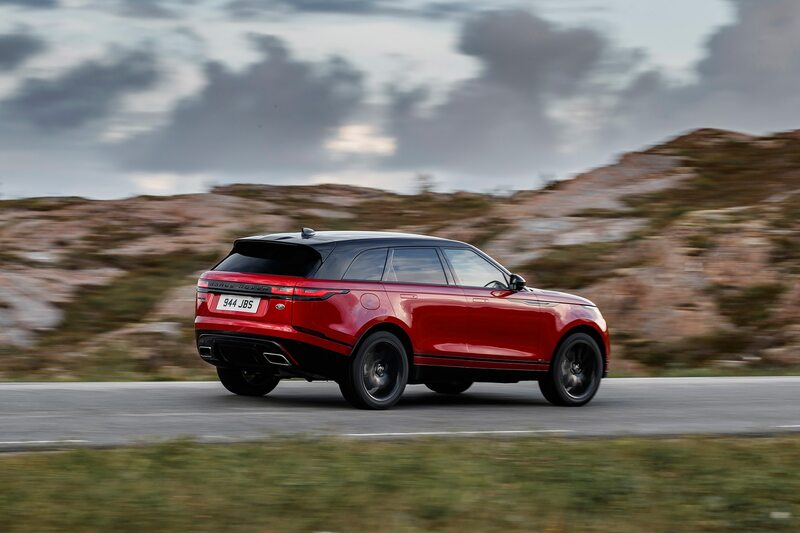 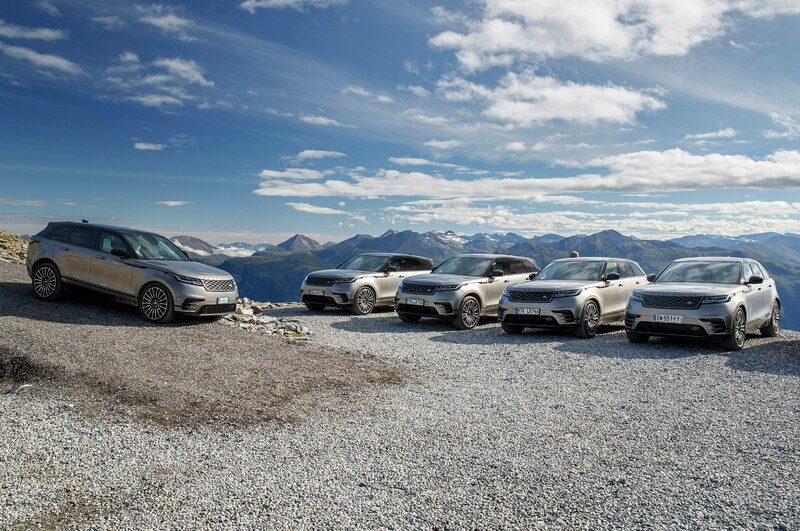 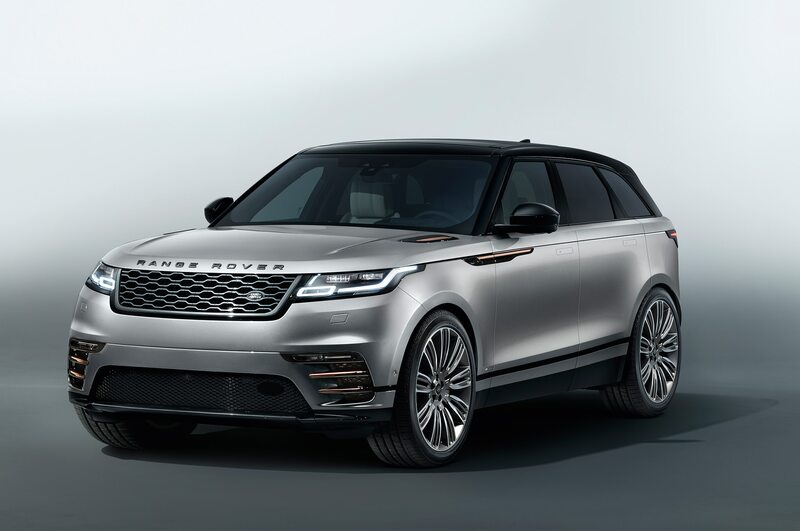 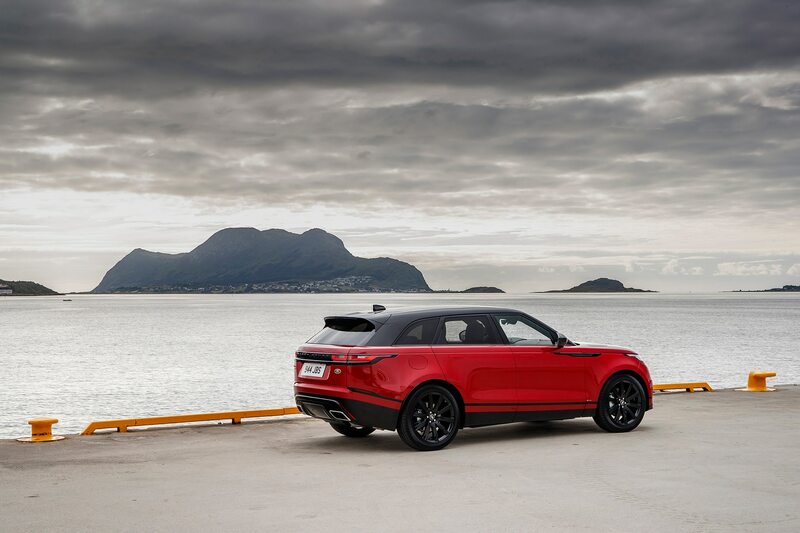 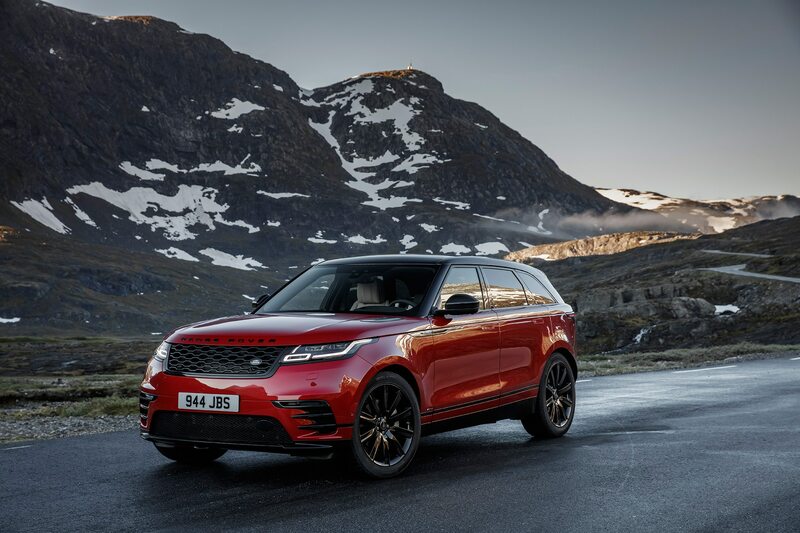 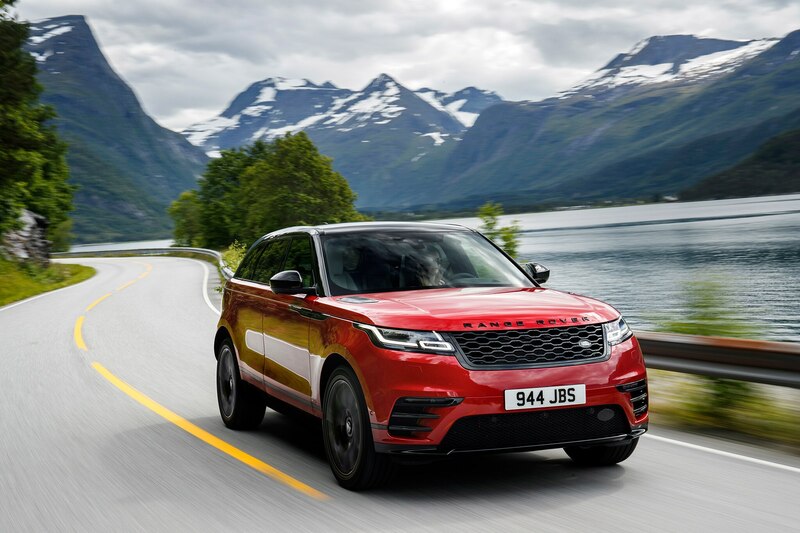 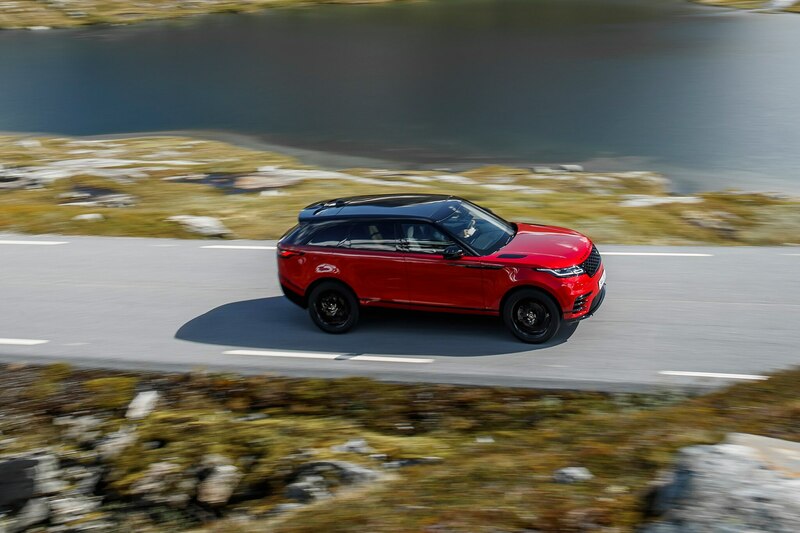 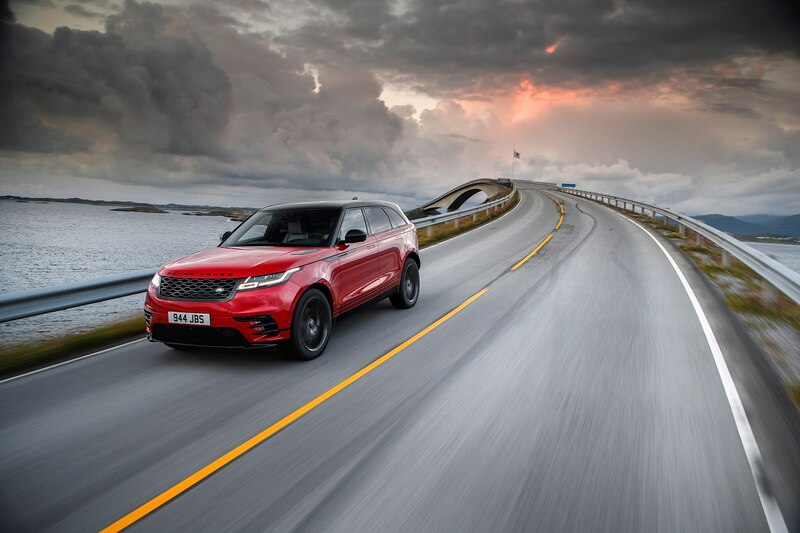 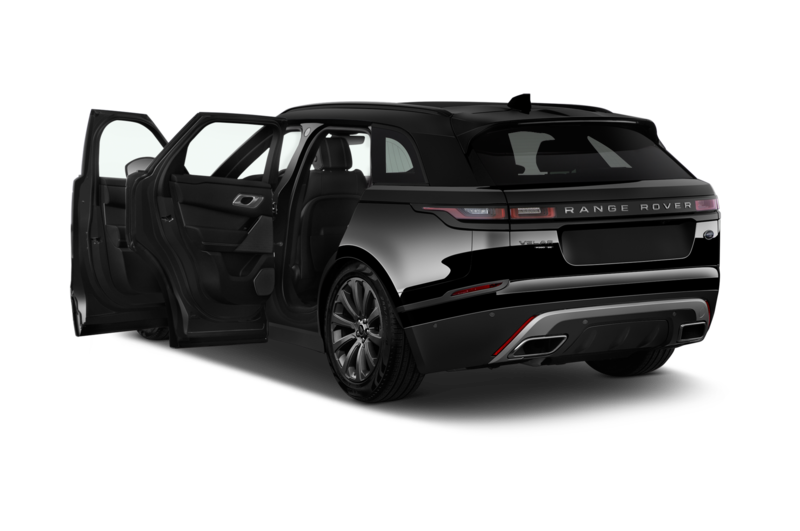 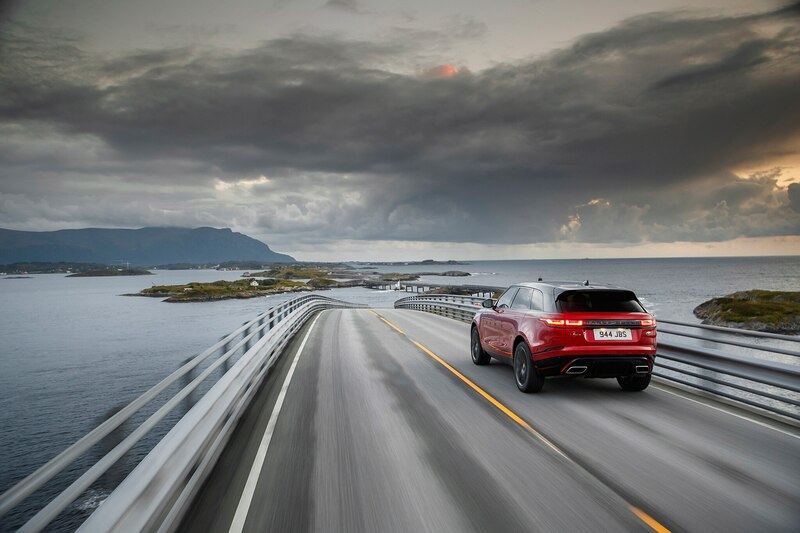 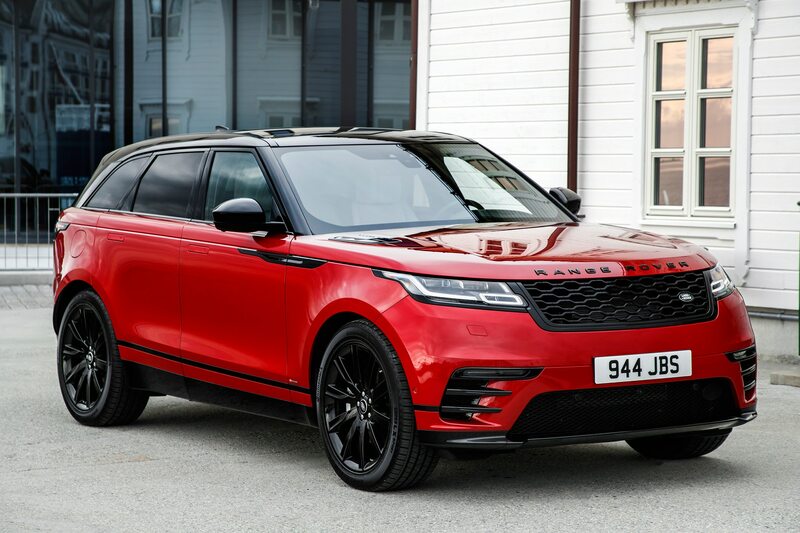 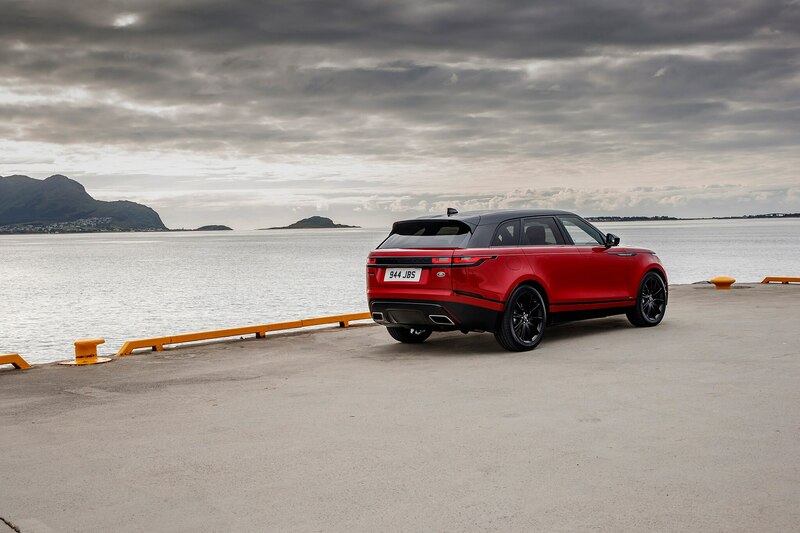 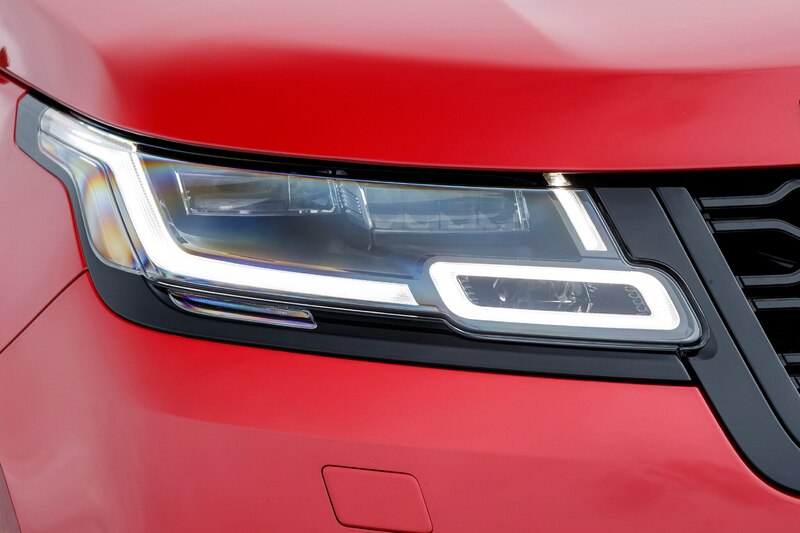 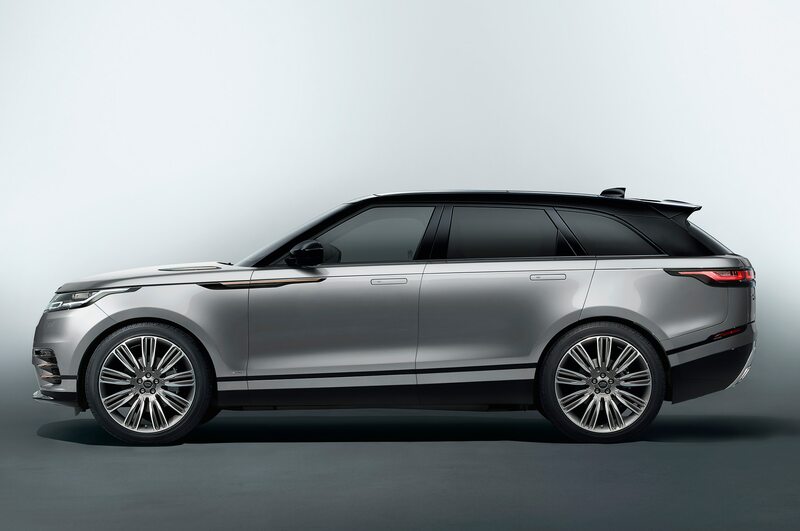 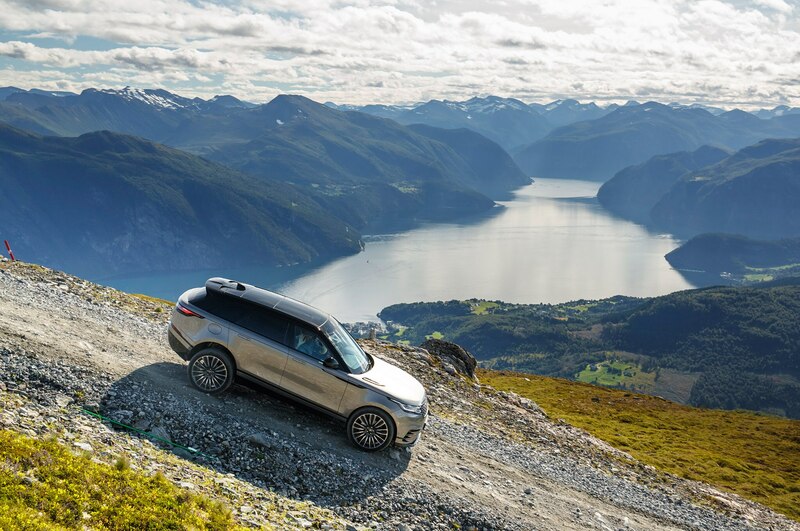 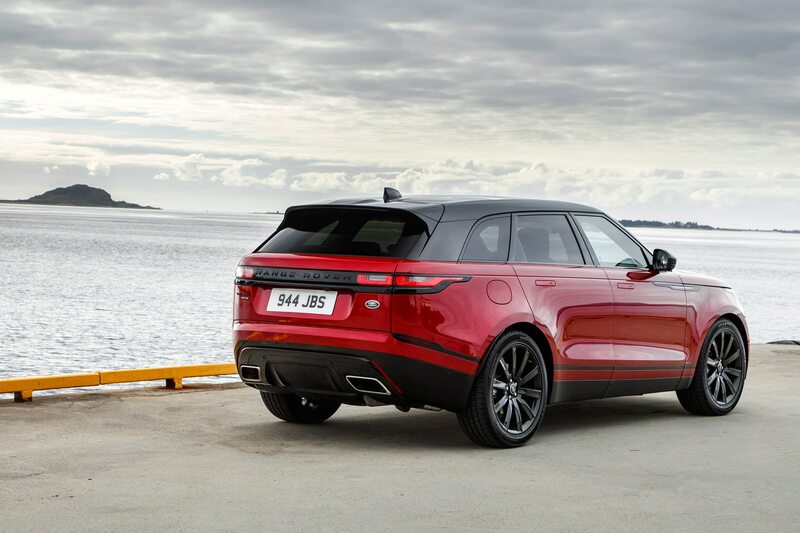 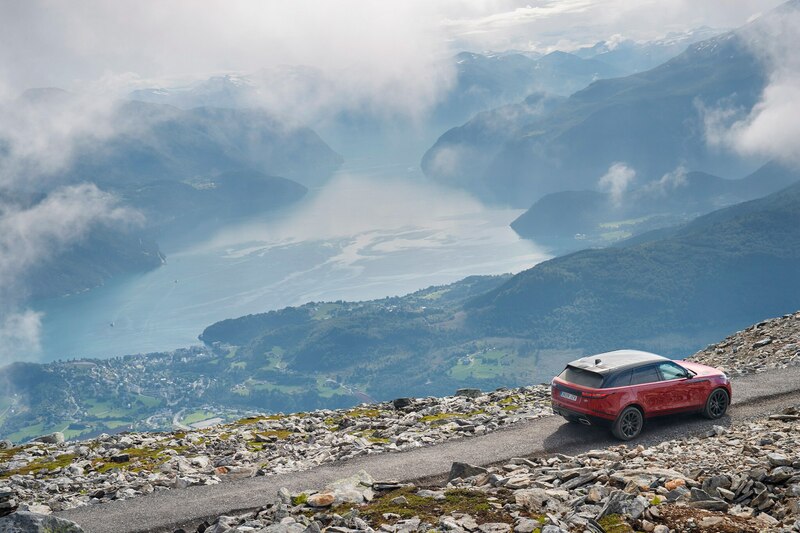 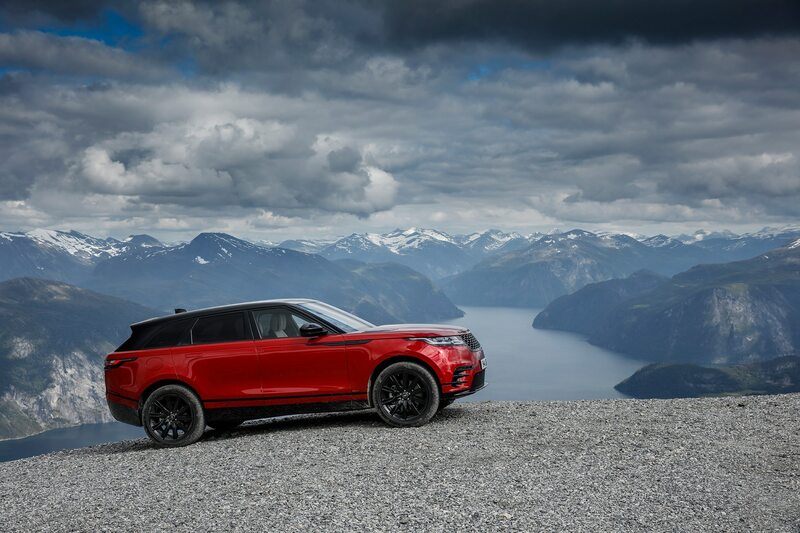 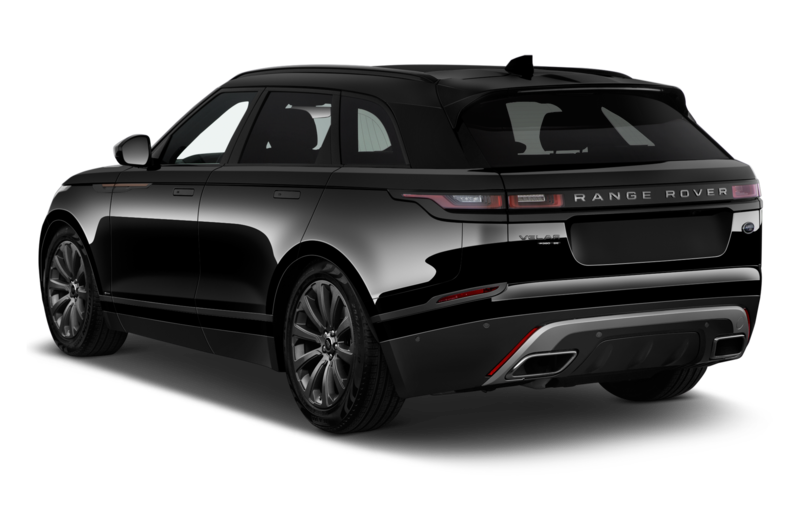 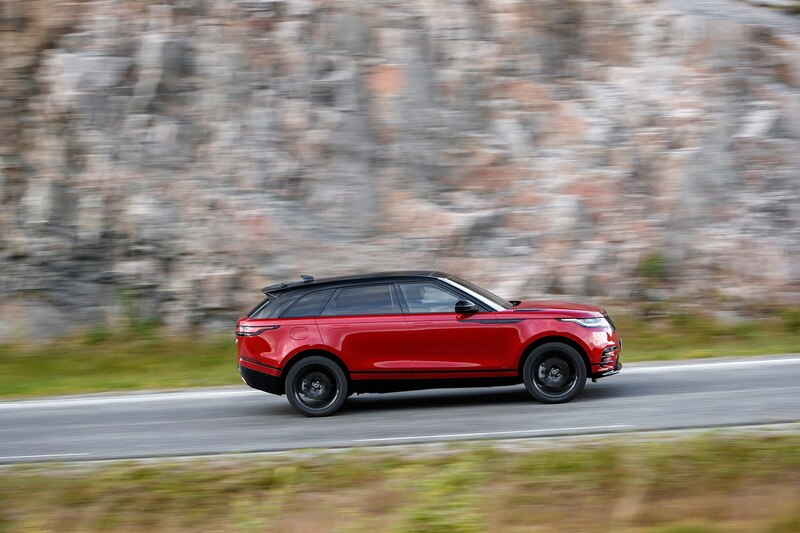 ALESUND, Norway — The “Velar” in 2018 Range Rover Velar, named after the decoy badges used on prototypes of the first ever version of Land Rover’s boxy ’ute in 1969, is Latin for “veiled,” a leitmotif whose inscrutable modernity hits you over the head with its rampant subtlety. 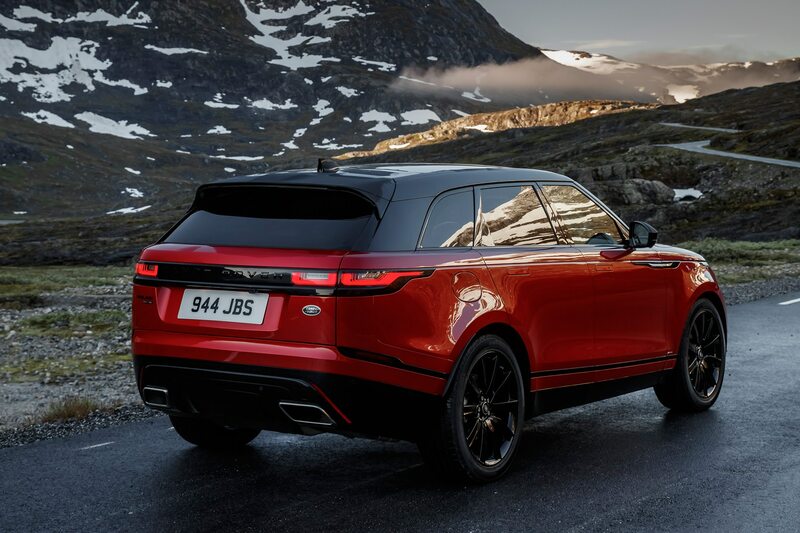 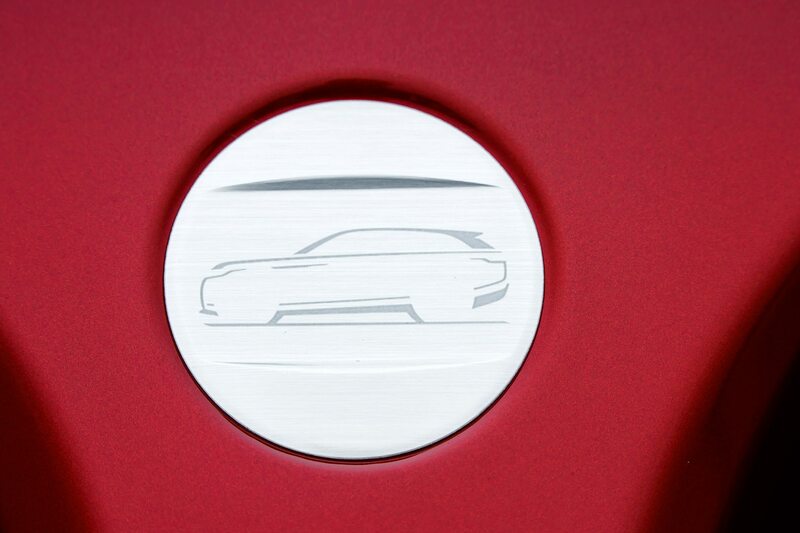 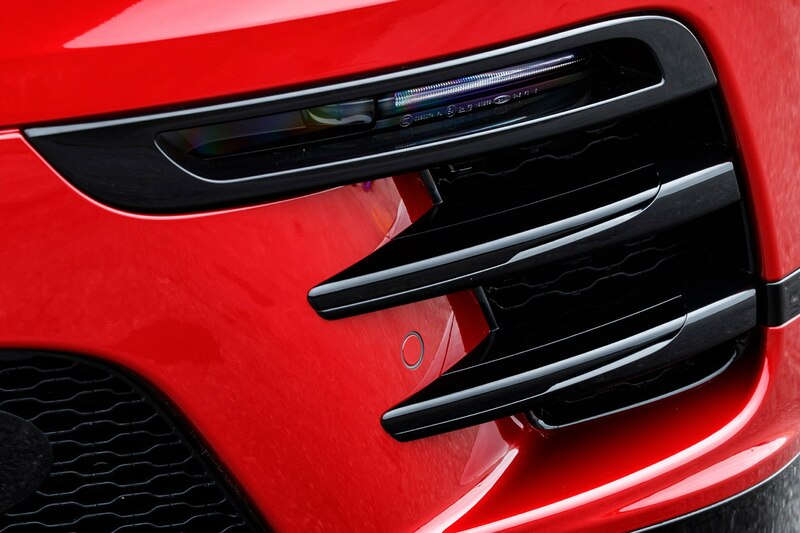 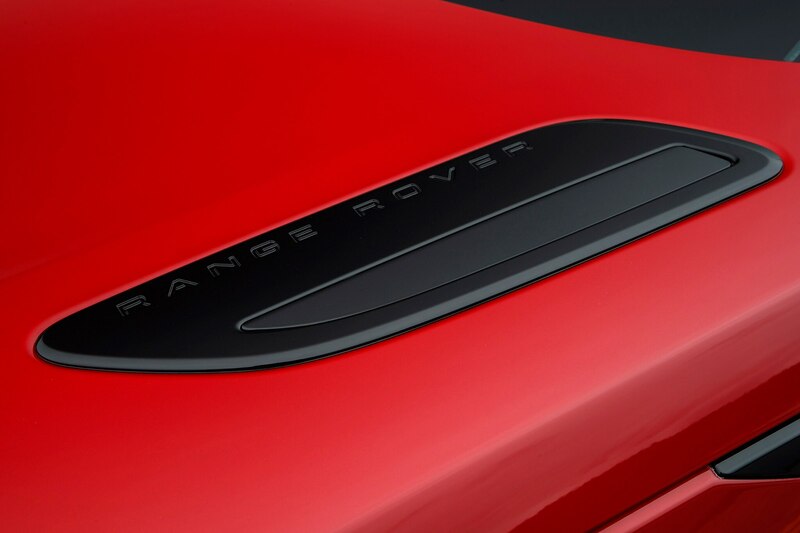 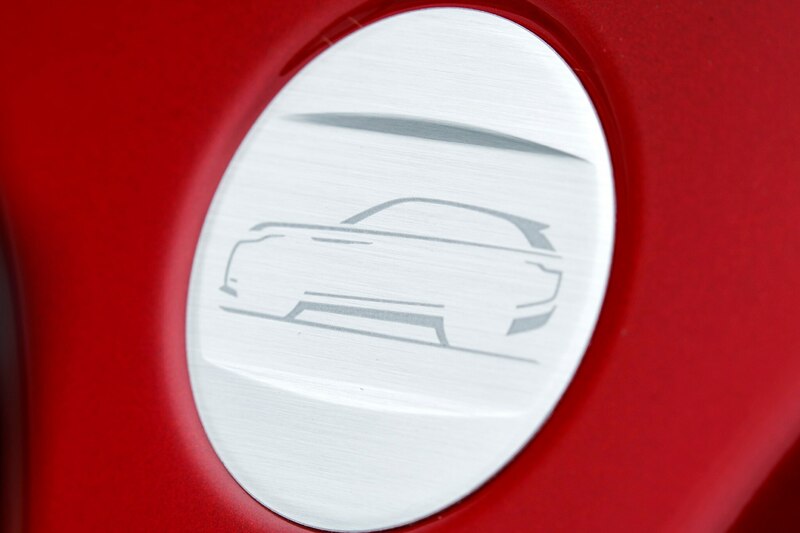 This is the design equivalent of silence so intense it’s deafening, a theme that carries from stem to stern in Range Rover’s first midsize SUV. 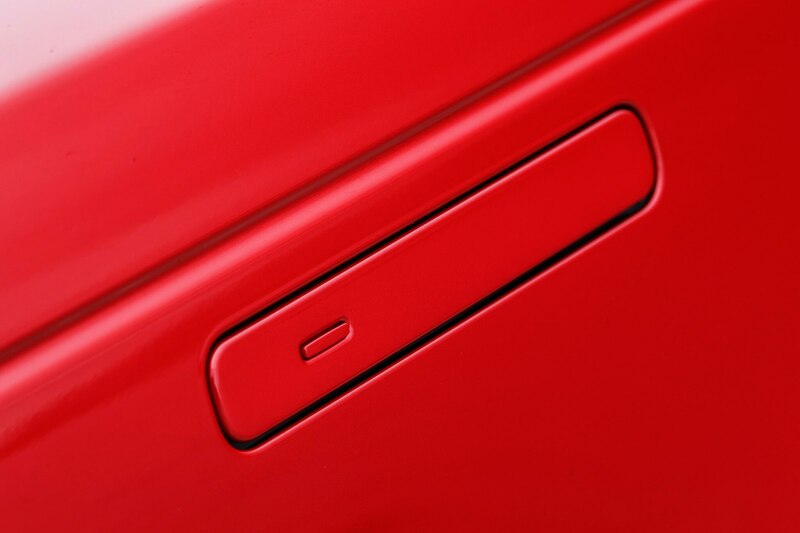 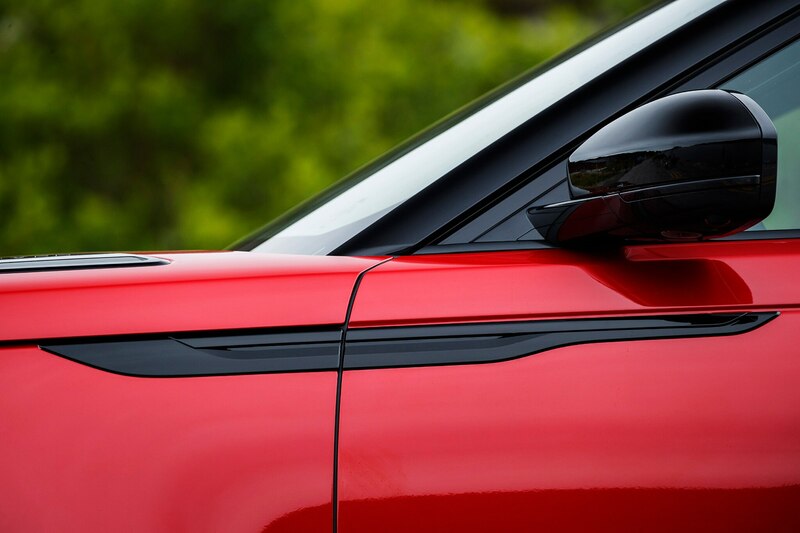 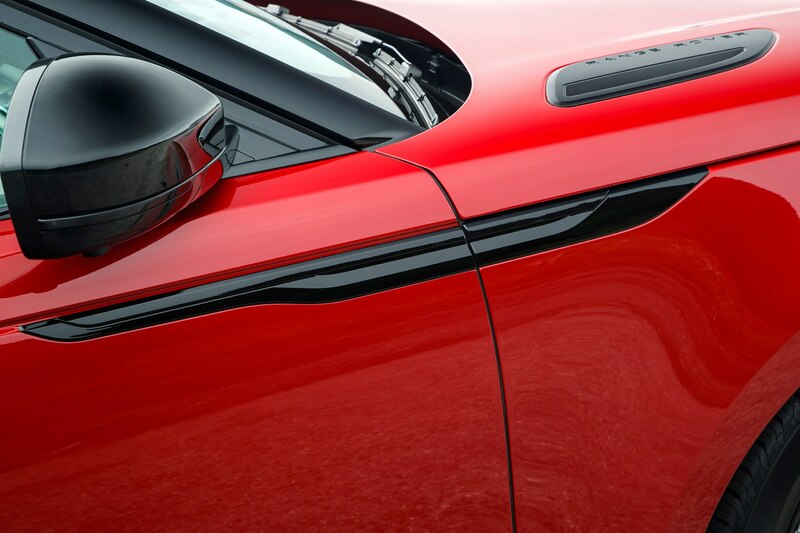 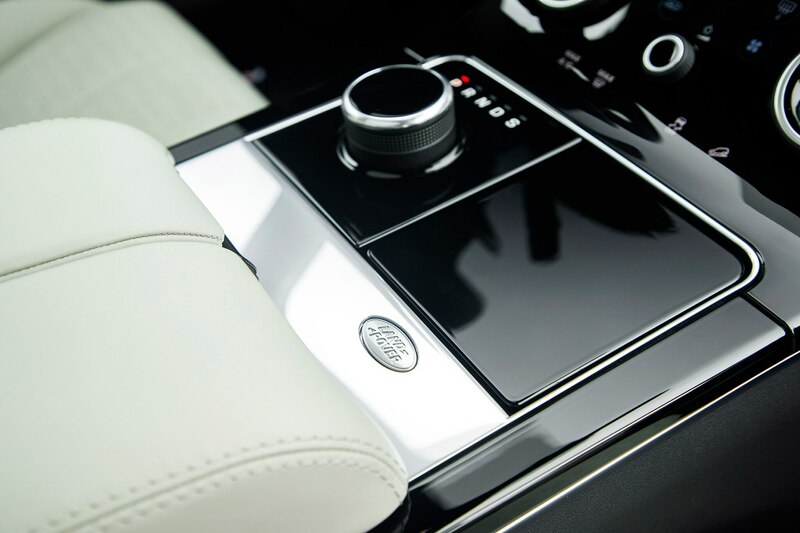 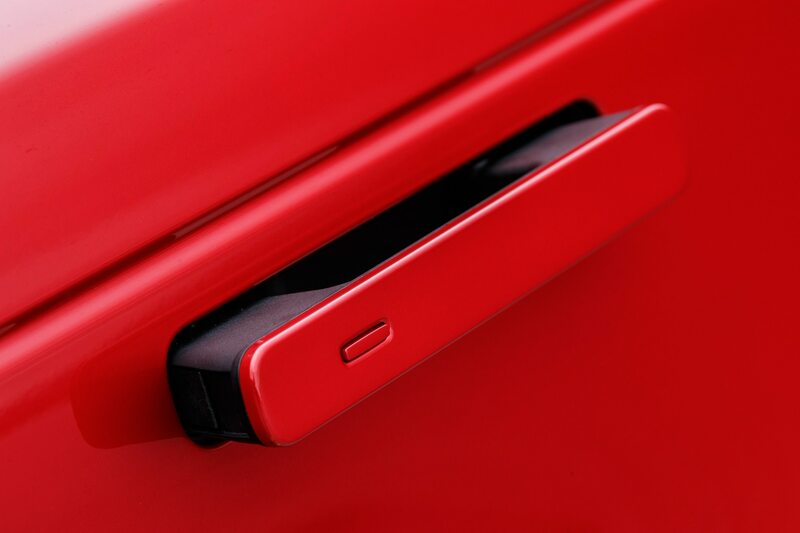 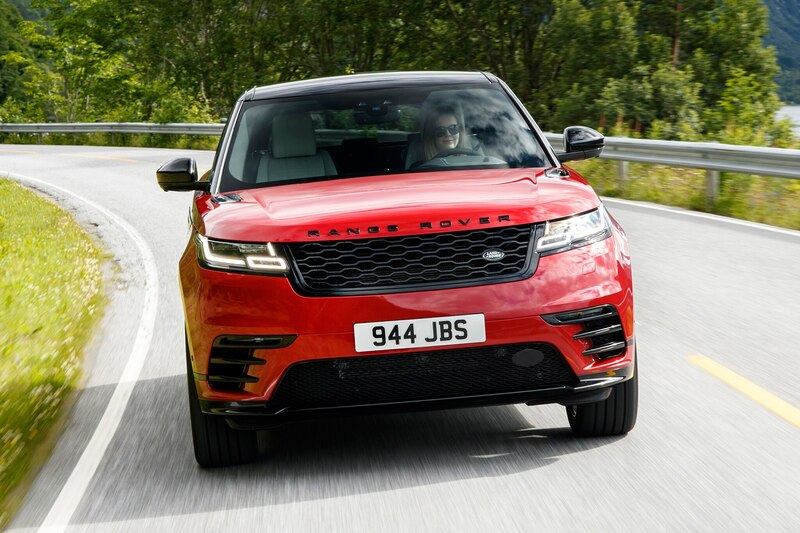 Squeeze the Velar’s remote and its door handles deploy from a flush fit with the sheetmetal. 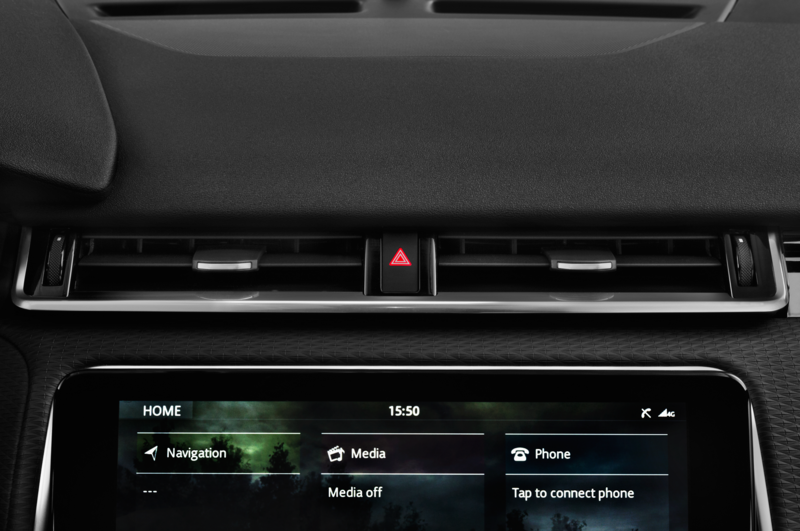 Press the start button and a touchscreen silently tilts while two other TFTs come to life. 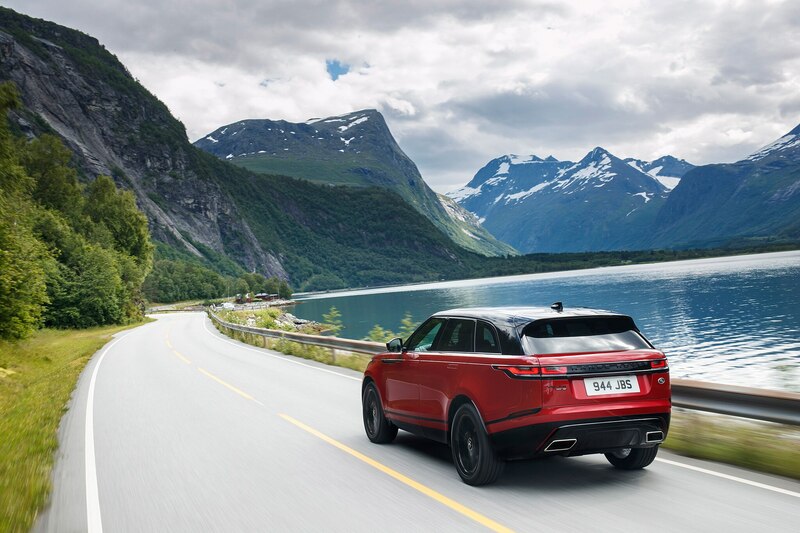 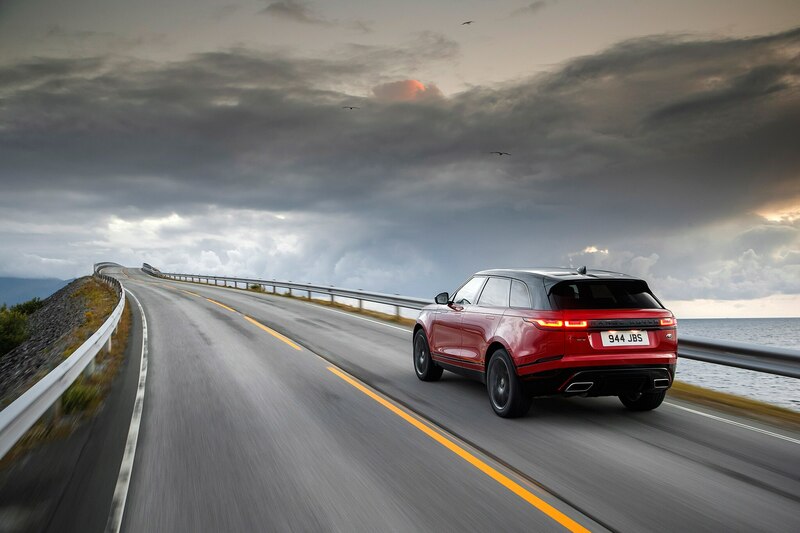 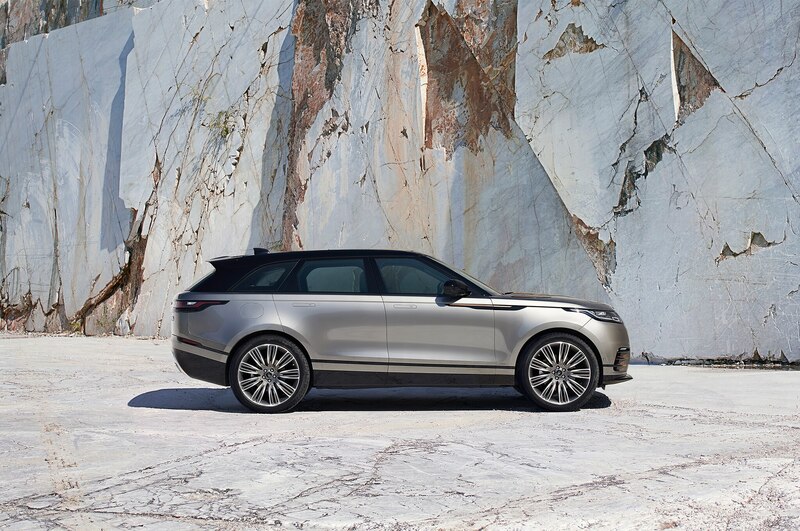 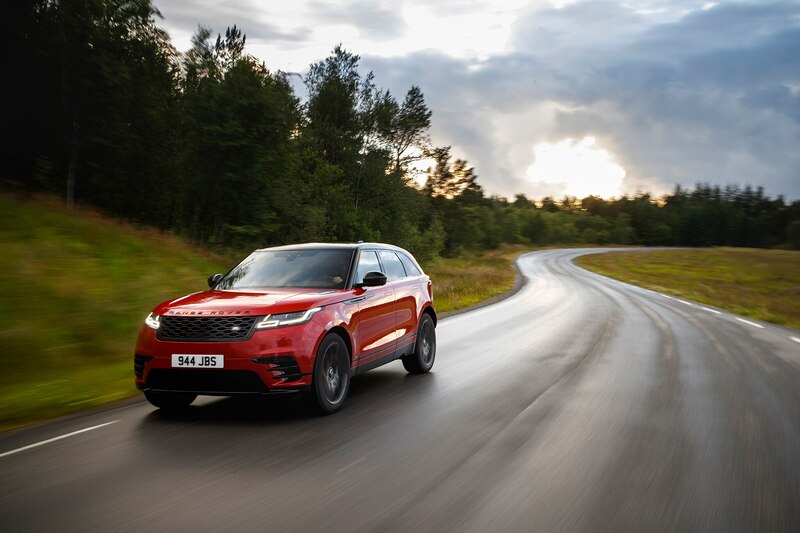 Set it in motion, and the all-new, 2018 Velar slices through the air with a drag coefficient of 0.32, making it the slipperiest Land Rover in history, while riding on an air suspension with a perfect 50/50 balance. 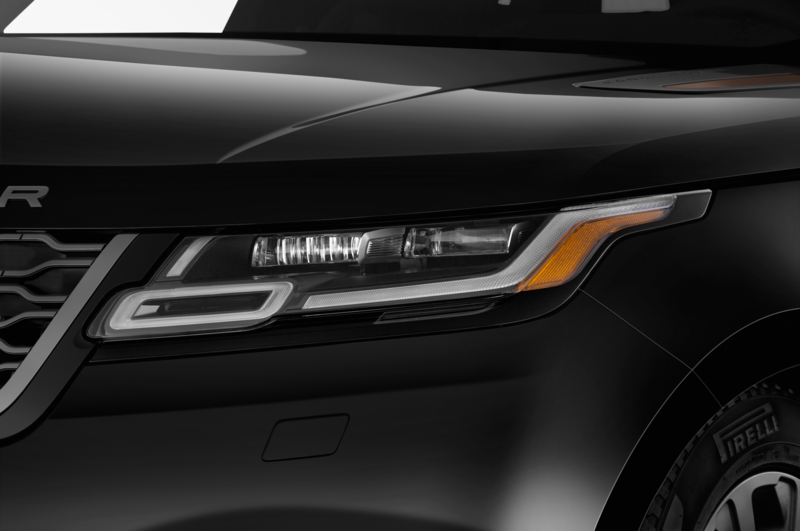 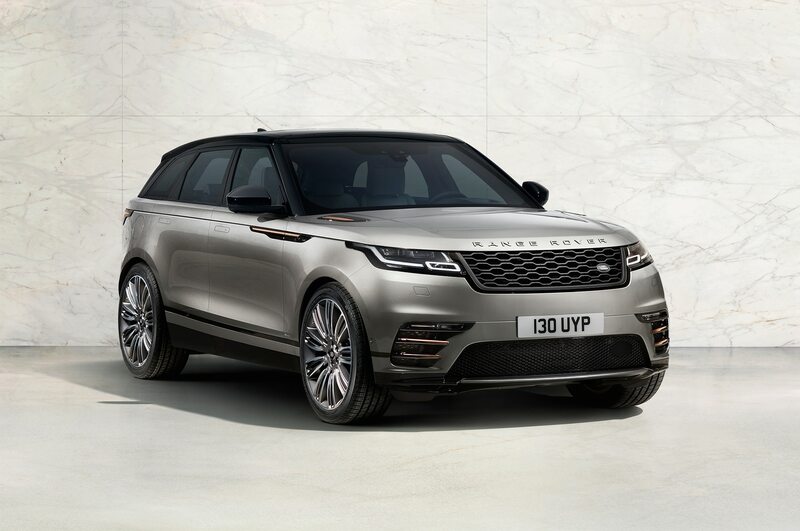 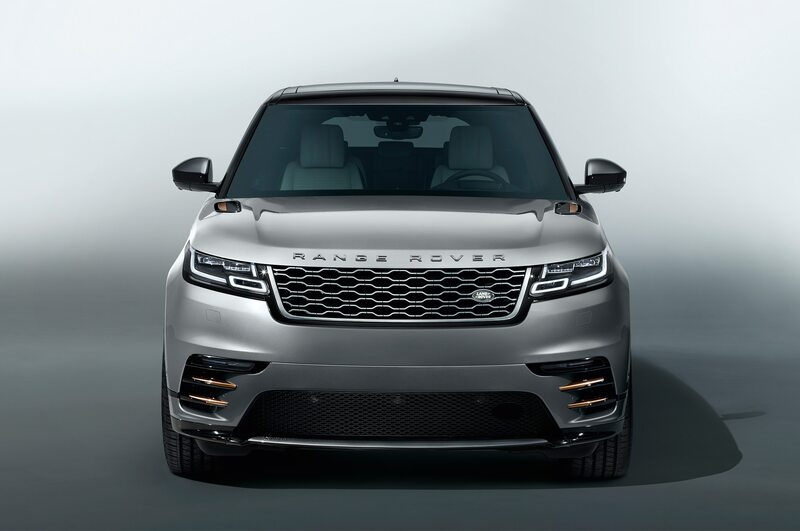 In case you haven’t already caught the prevailing theme of understatement, Range Rover reps are quick to tout that the new Velar as an exercise in minimalism, reductionism, and just about any other –ism you might ascribe to a Brancusi sculpture in polished brass. 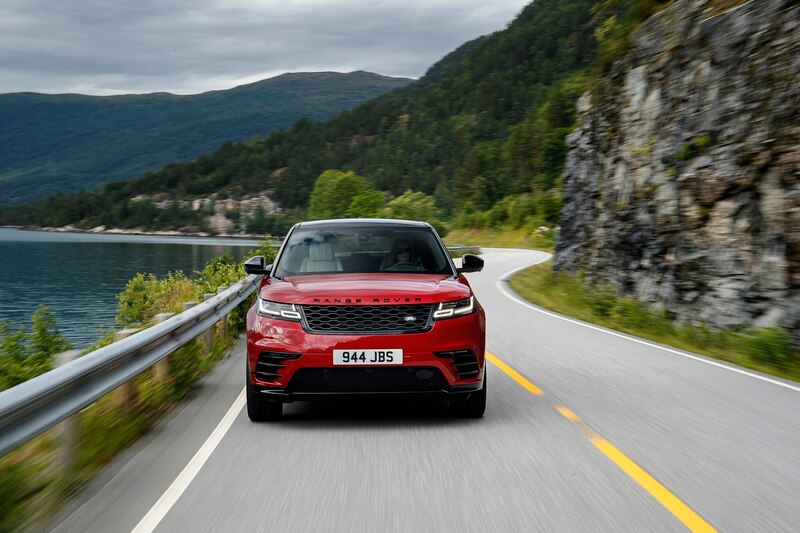 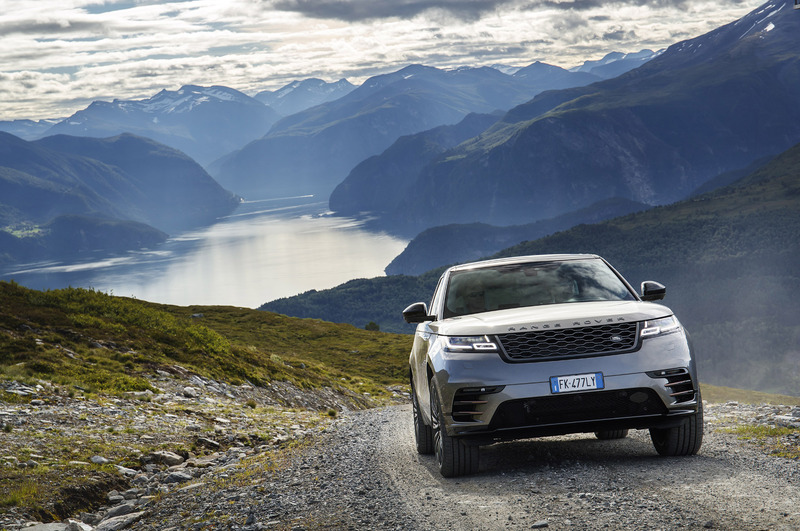 Long and low, flush and taut, the Velar looks remarkably balanced from almost any angle. 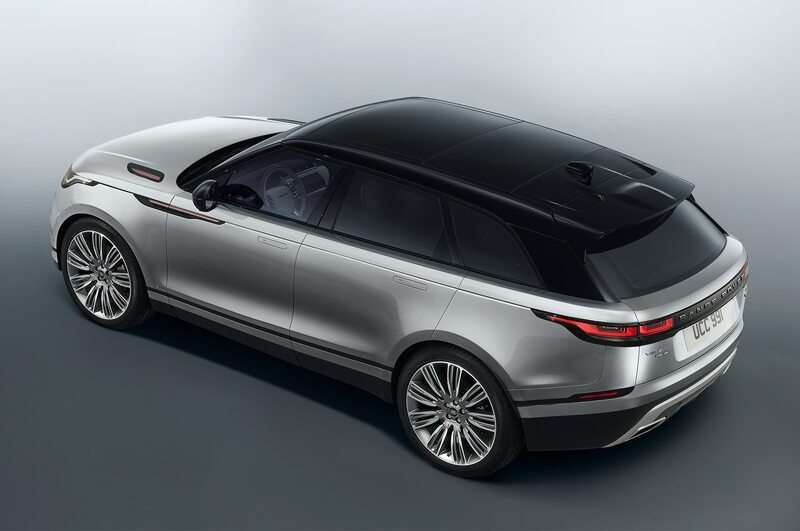 A visual portmanteau that blends the top dog Range Rover’s elegant gravitas with a touch of the smaller Evoque’s angularity, this newcomer’s form factor exudes a sense of that-thing-you-didn’t-know-you-needed, a certain Cupertino-esque je ne sais quoi. 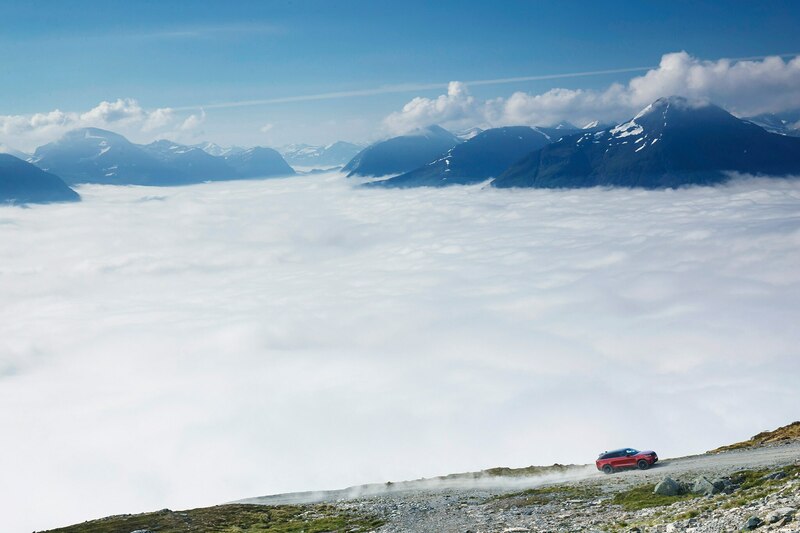 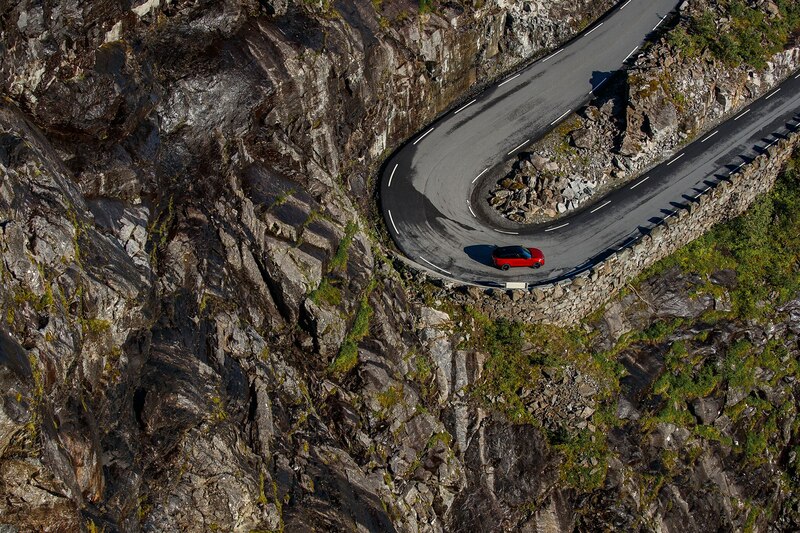 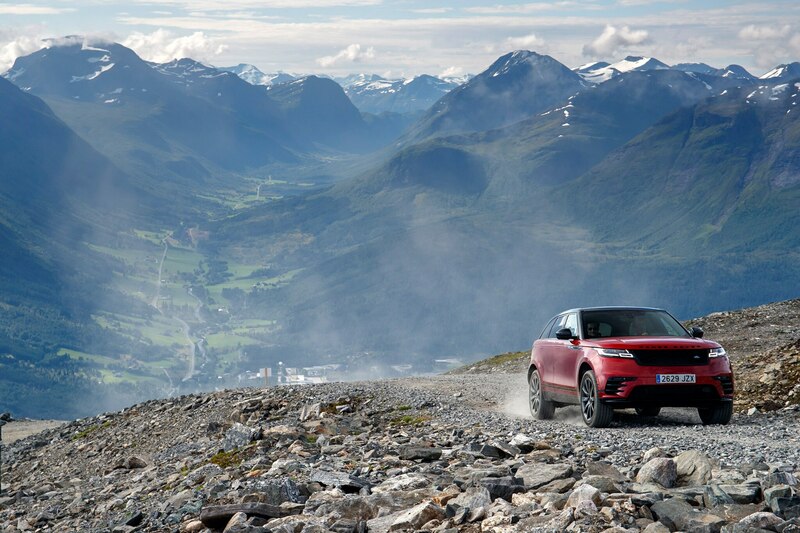 But the idea of elegance, at least in its abstract form, is far from my transom as I maneuver the Velar down a jagged off-road course through a glaciated Norwegian valley near the Wagnerian Trollstigen Pass. 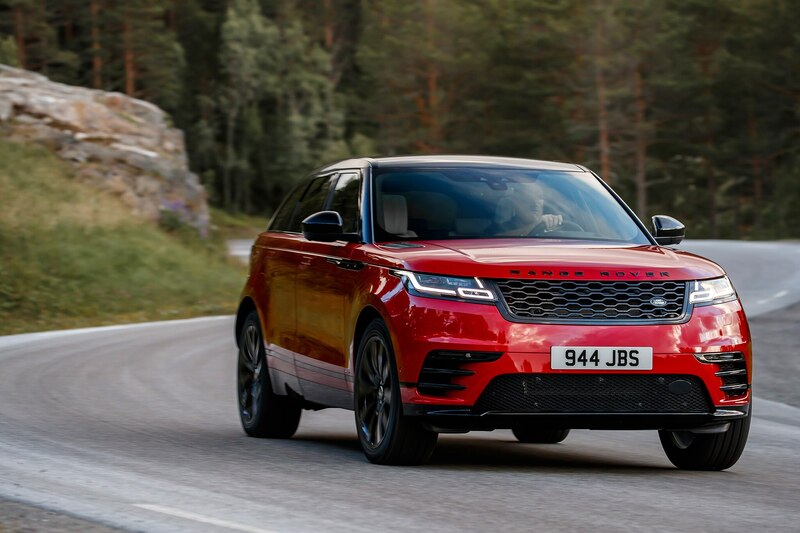 My tester, a top-of-the-heap First Edition version saddled with a $90,295 sticker price, rides on massive 22-inch 265/40 tires — visually beefy, but suboptimal kit for off-tarmac duty. 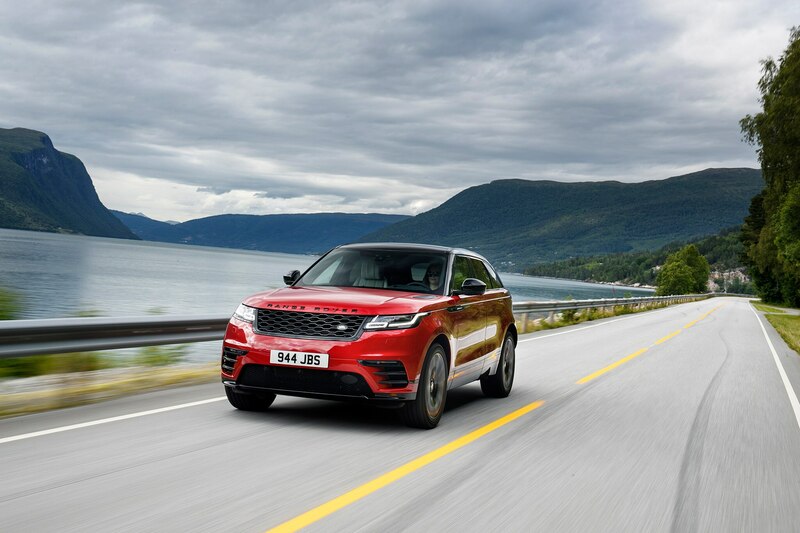 Beneath the Velar’s pretty skin is a modified version of the Jaguar F-Pace’s mostly aluminum chassis that’s been reinforced for off-road competence and is further bolstered by Land Rover’s Terrain Response 2 system, which orchestrates goodies like an active rear locking differential, low traction launch system, hill descent control, and an available air suspension with adaptive shocks (standard on V-6 models) — all of which work in conjunction with stability control. 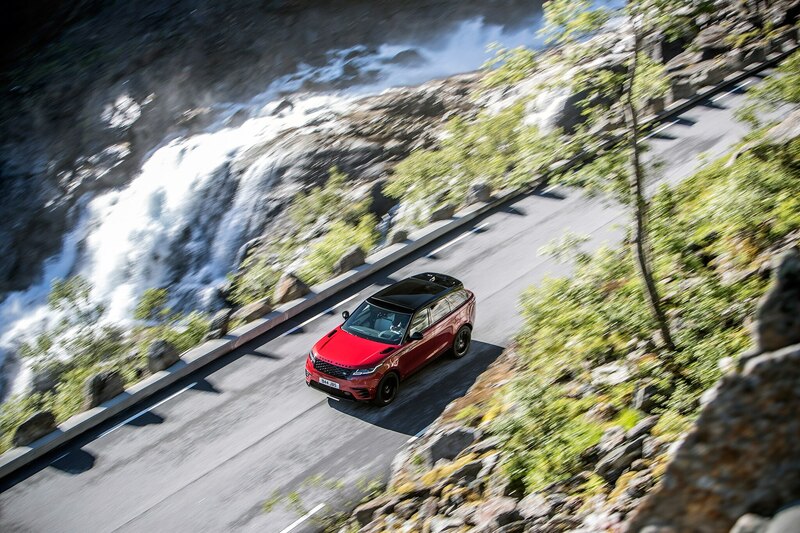 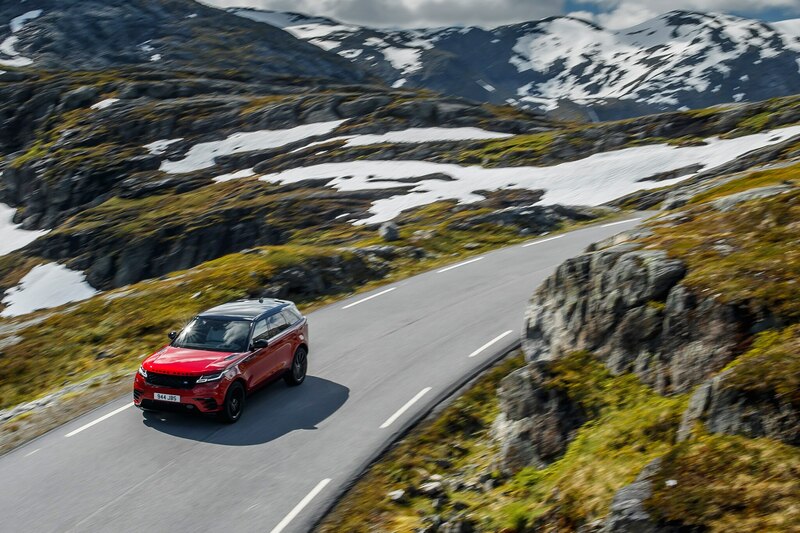 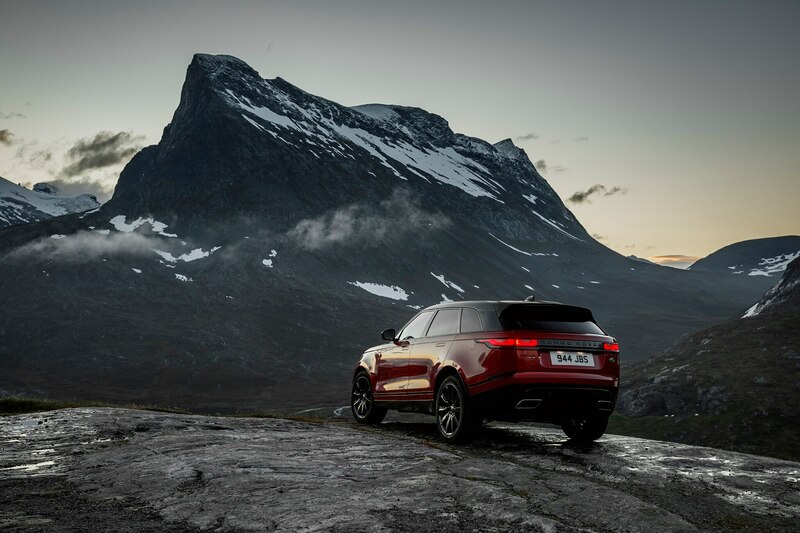 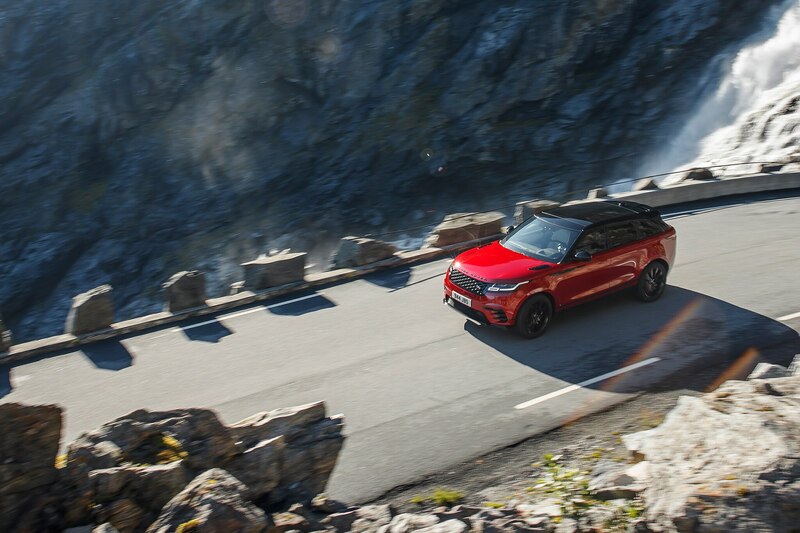 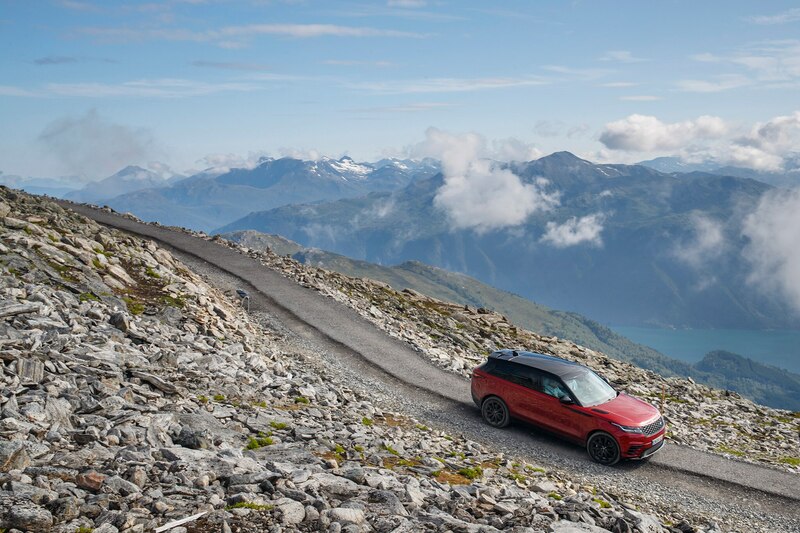 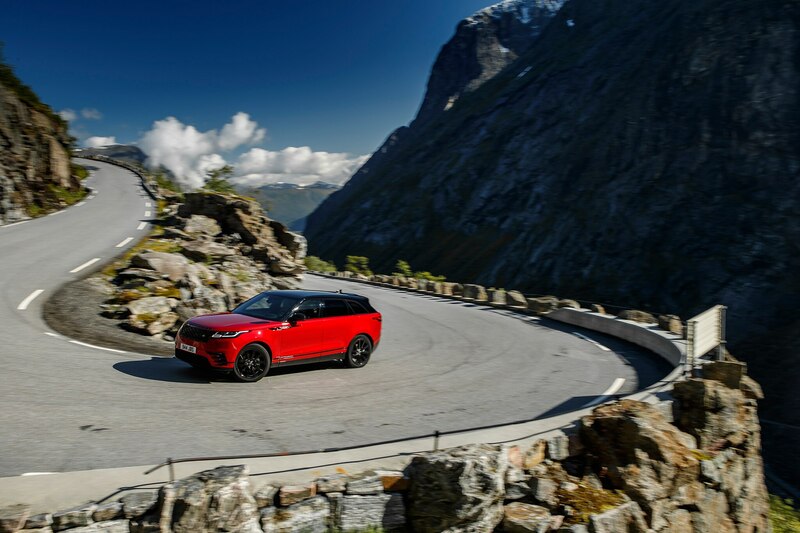 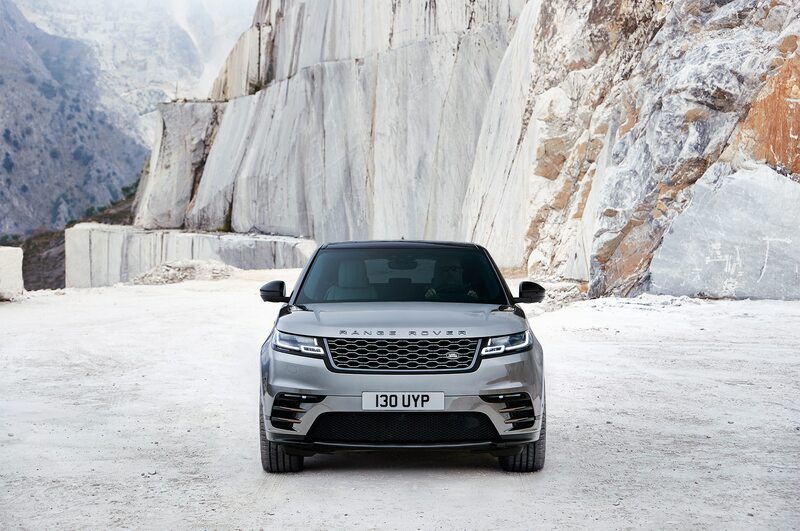 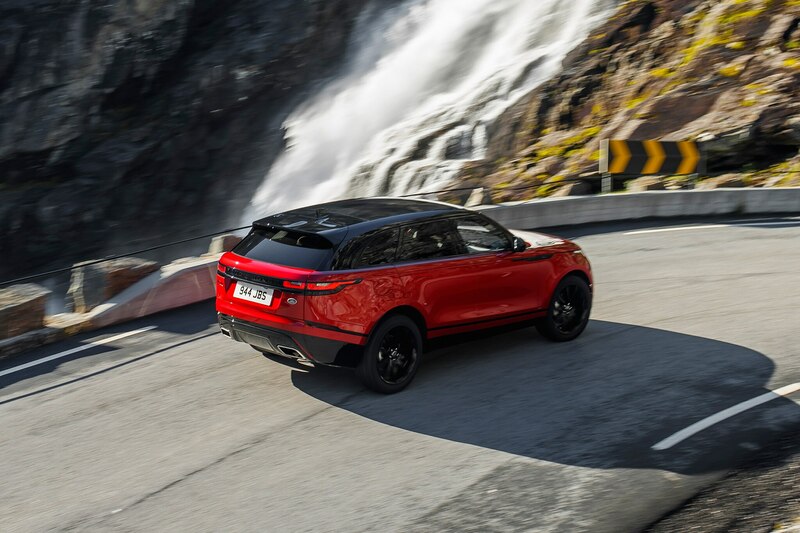 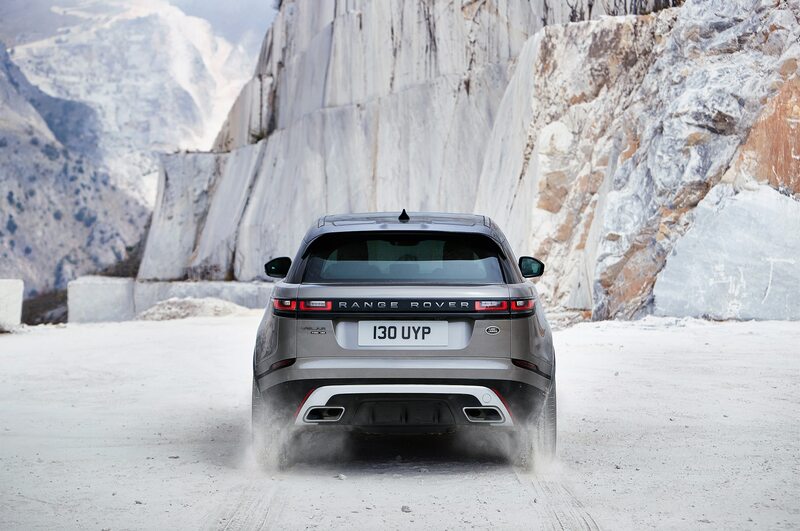 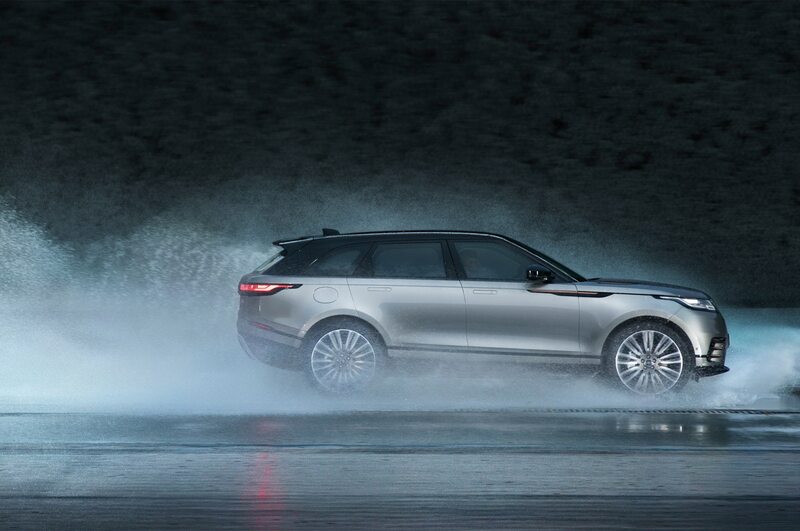 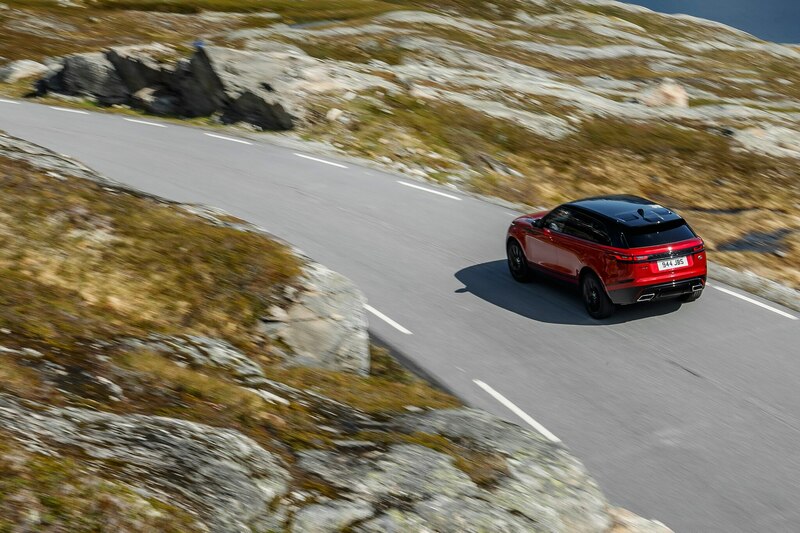 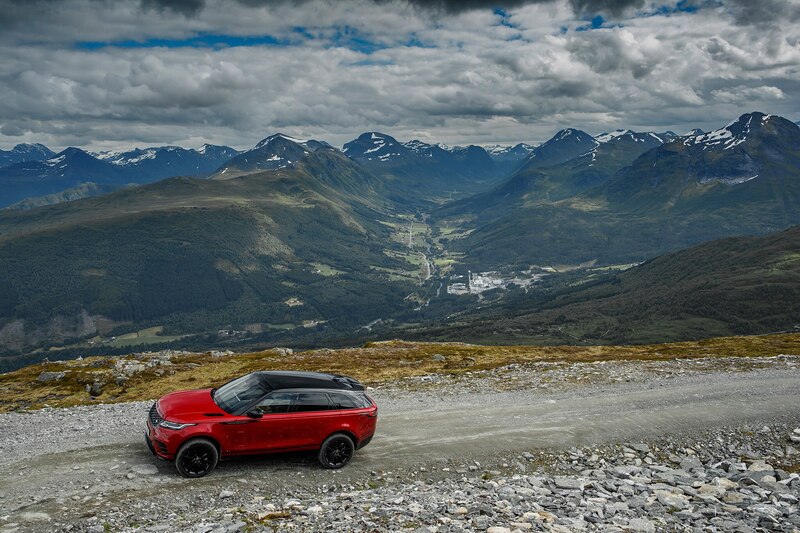 The system maximizes traction by monitoring wheel movement 500 times a second, a feature which helps enable the Velar’s billy goat-like grip on the loose rocks below. 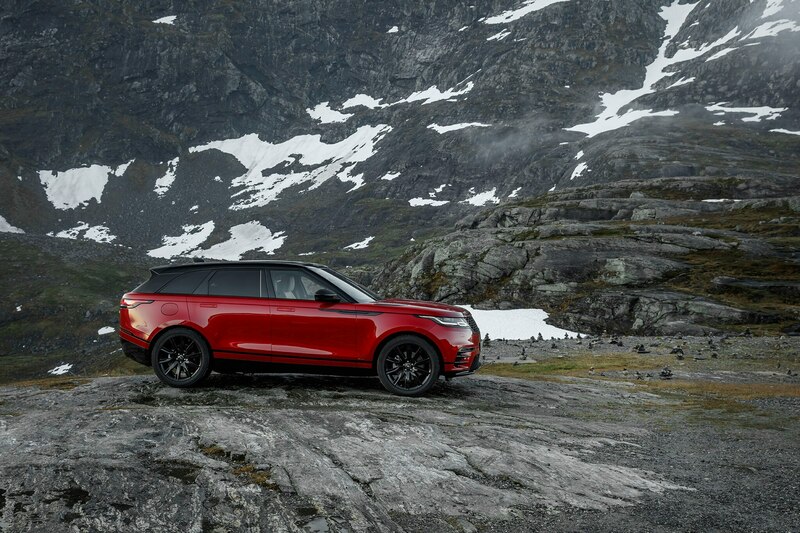 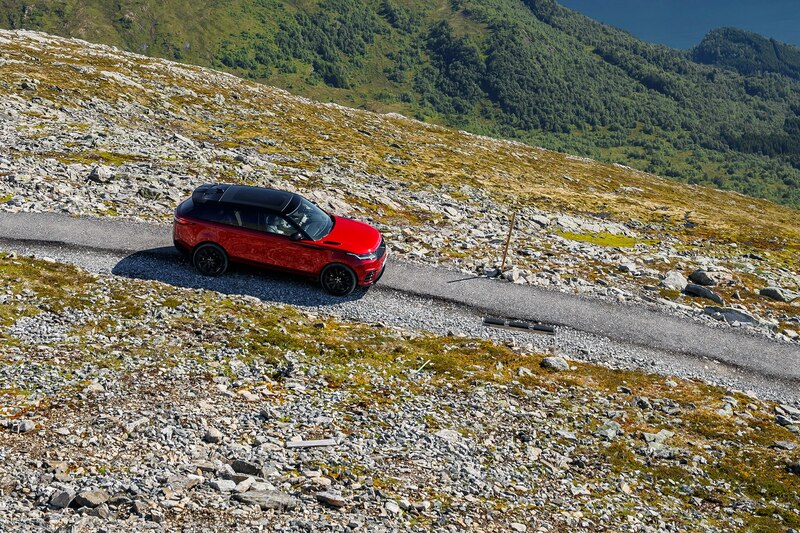 While its approach angle, breakover angle, and wading depth are eclipsed by the more rugged Discovery, Velar holds its own when articulating over uneven, steep, and dirty surfaces. 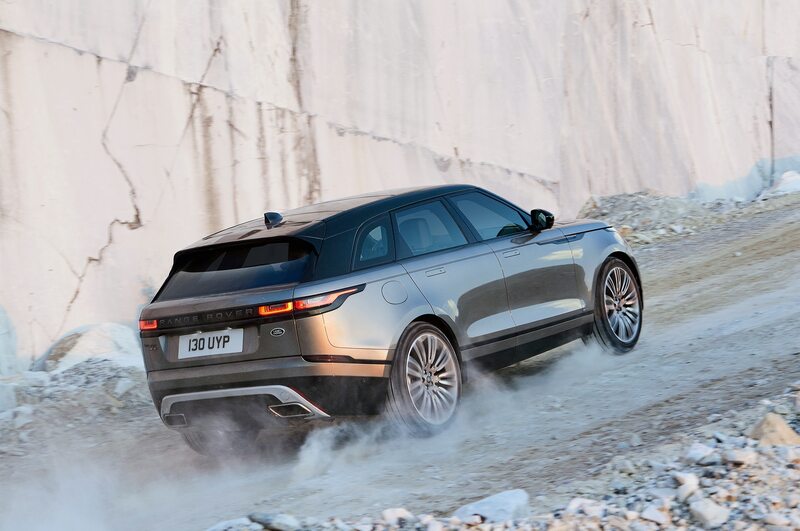 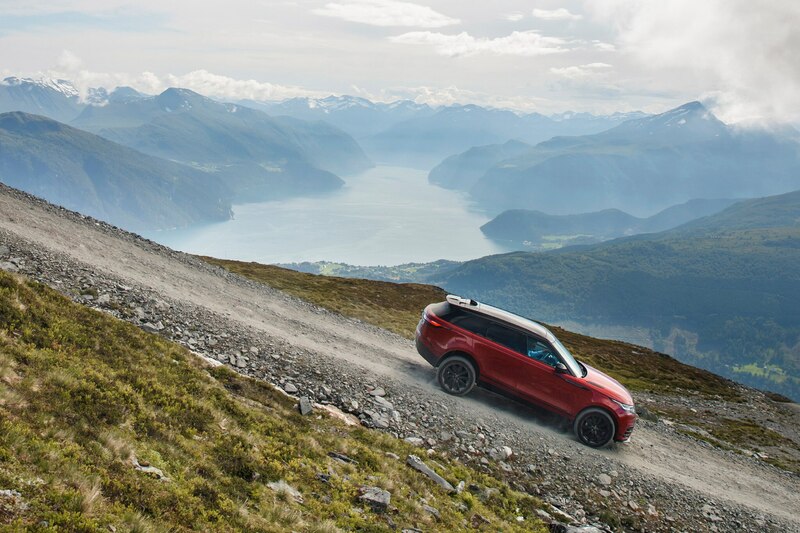 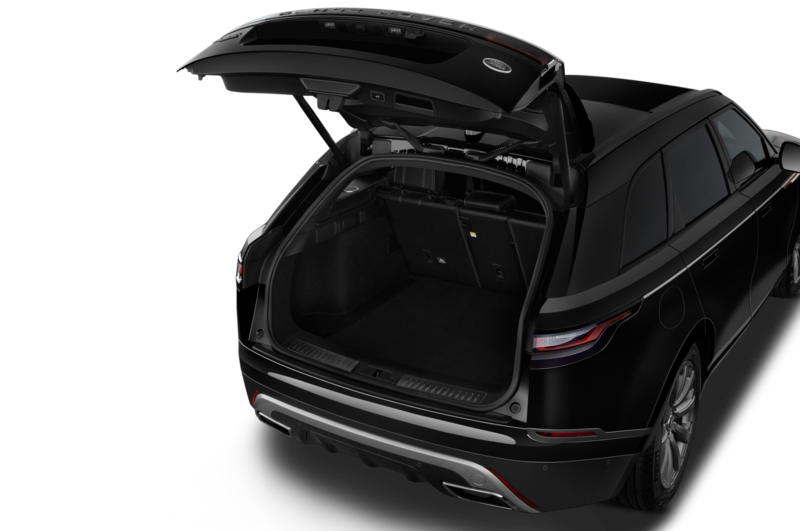 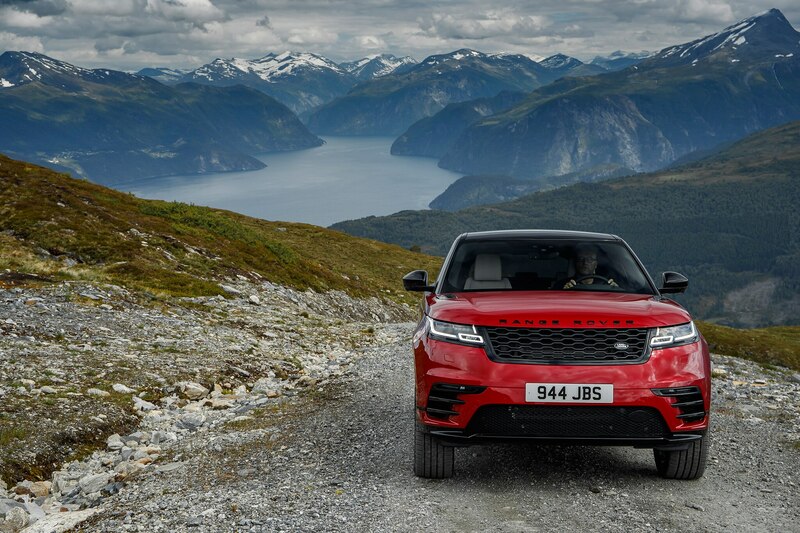 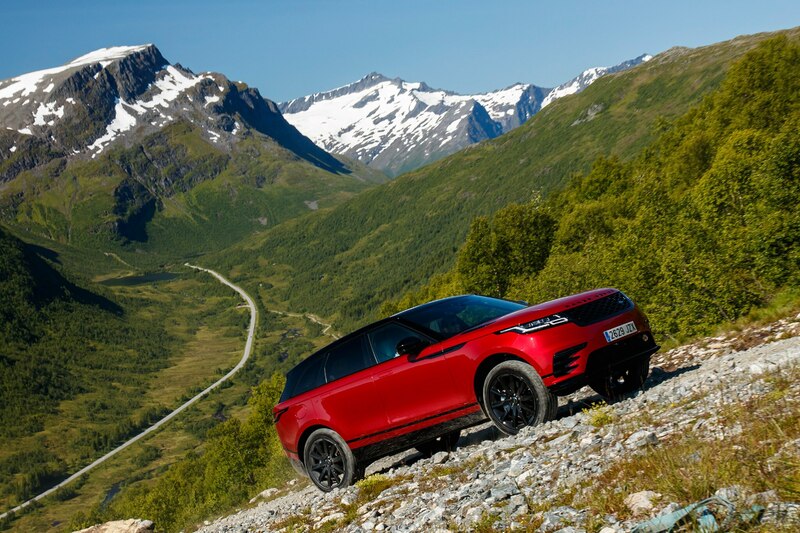 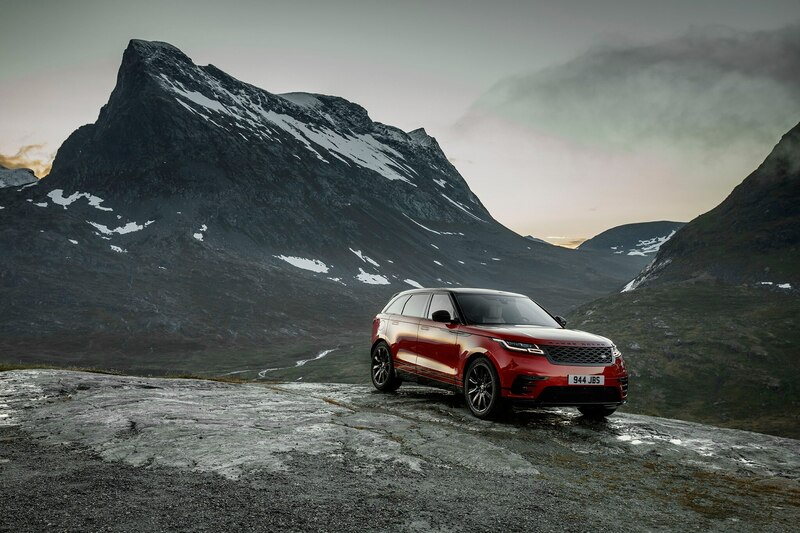 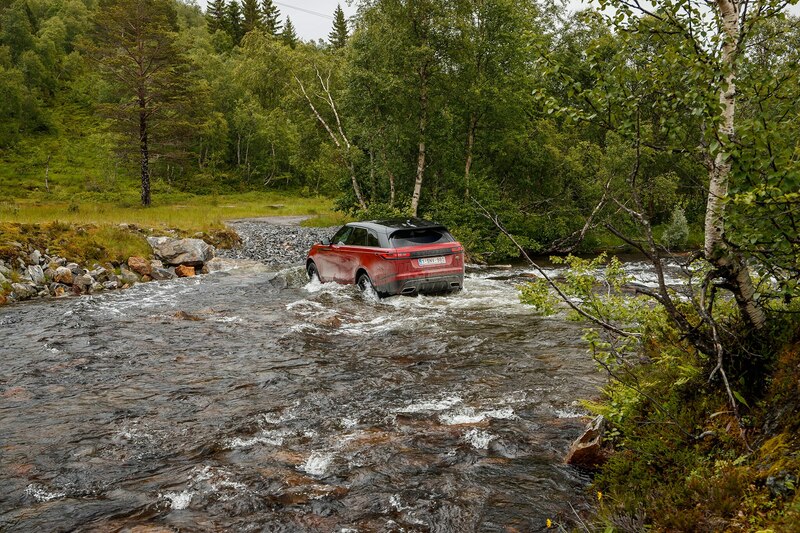 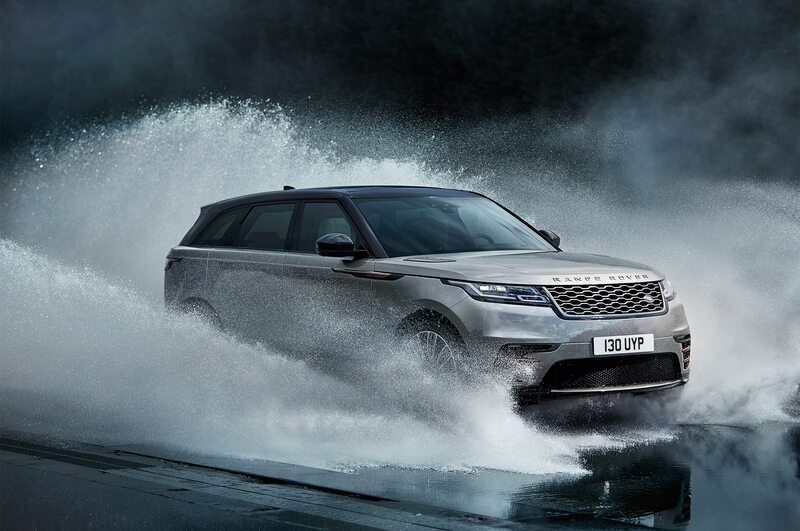 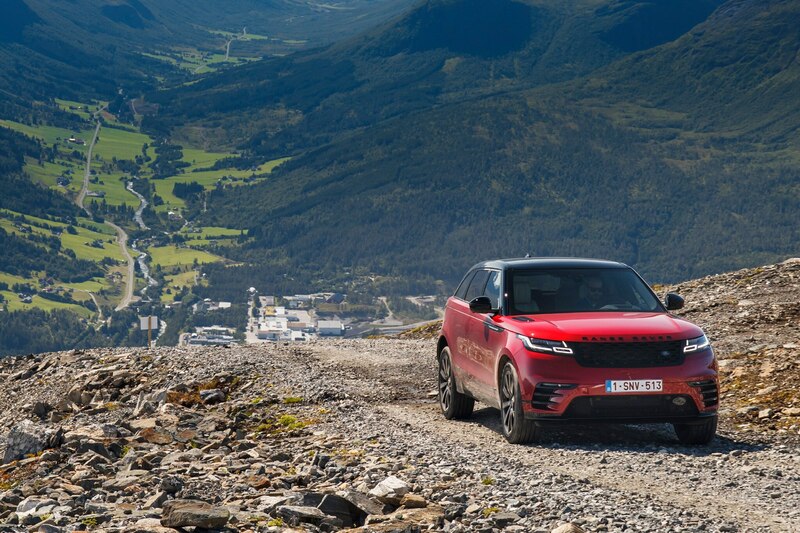 Off-road aptitude is, of course, integral to Land Rover’s brand narrative, and the Velar’s relative capability is reassuring given its supermodel looks. 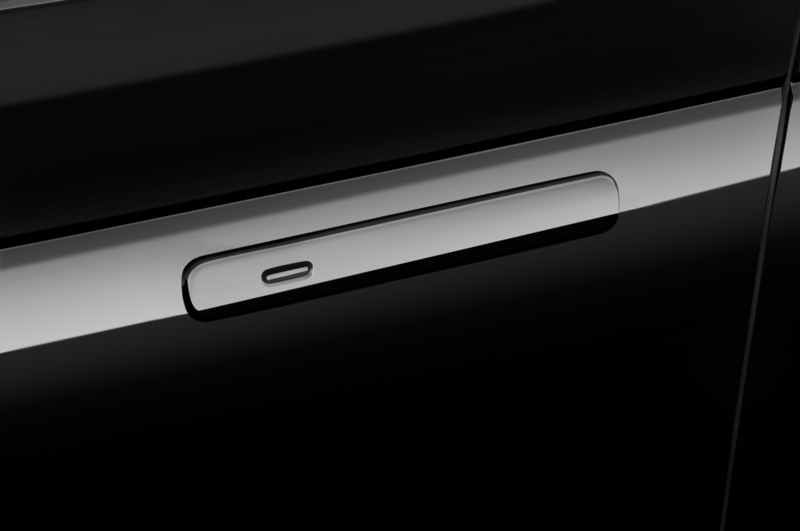 After all, what good is great bone structure if it houses a dumb brain? 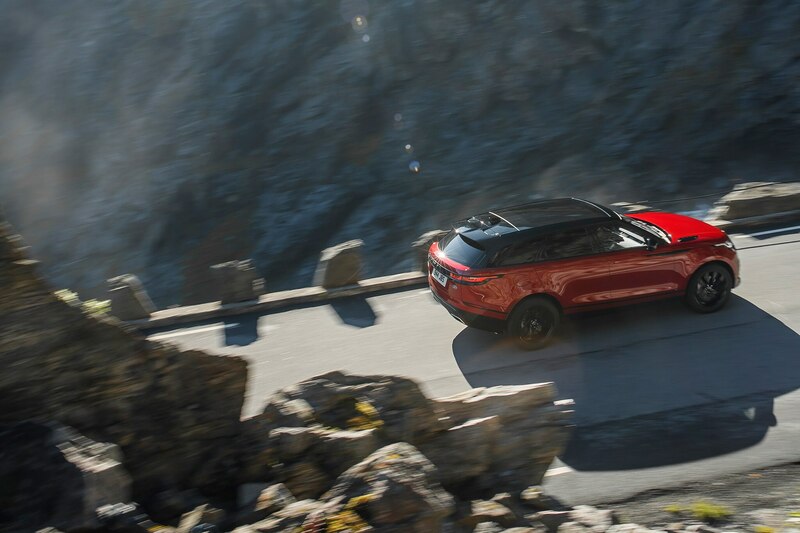 Also encouraging is the panoply of assistance systems: front, side, and rear facing cameras as well as info including steering wheel position, the slope/tilt of the terrain, suspension travel, and torque distribution. 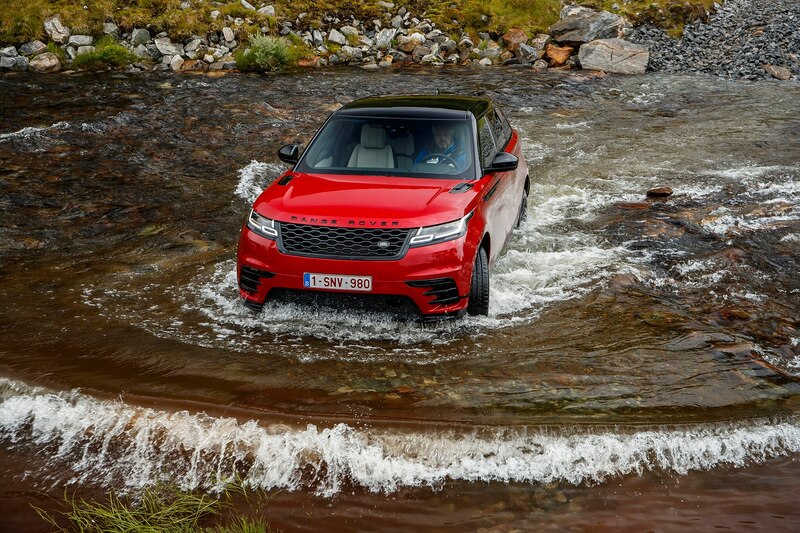 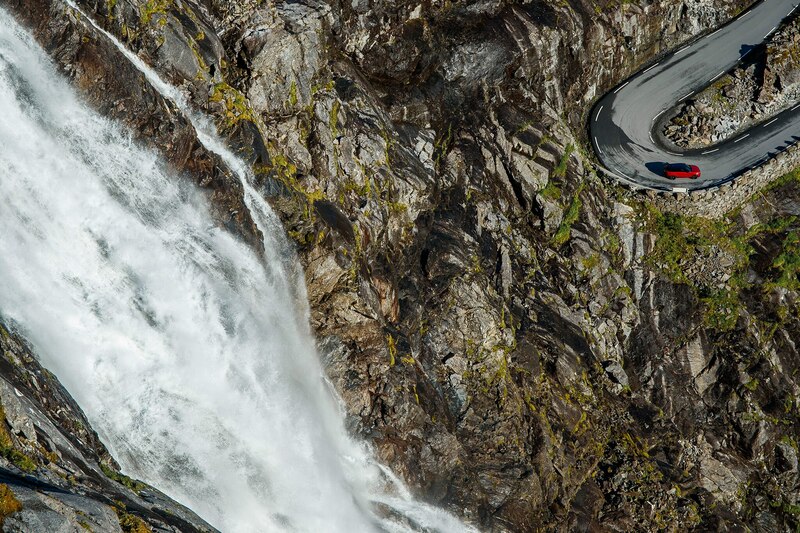 Perform a water crossing and there’s even a wade sensing display with a graphical representation of how close you are to reaching the maximum depth of 25.6 inches. 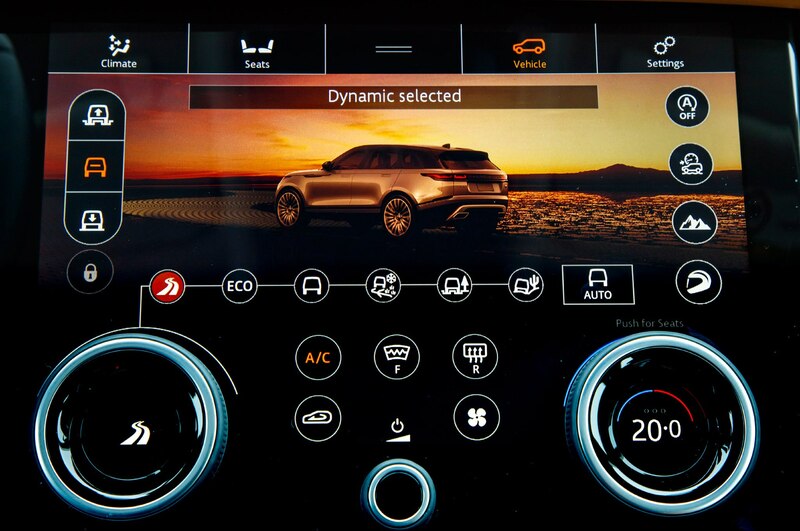 If you can’t be bothered to peel your eyes away from the view, key info is projected via the Velar’s head up display. 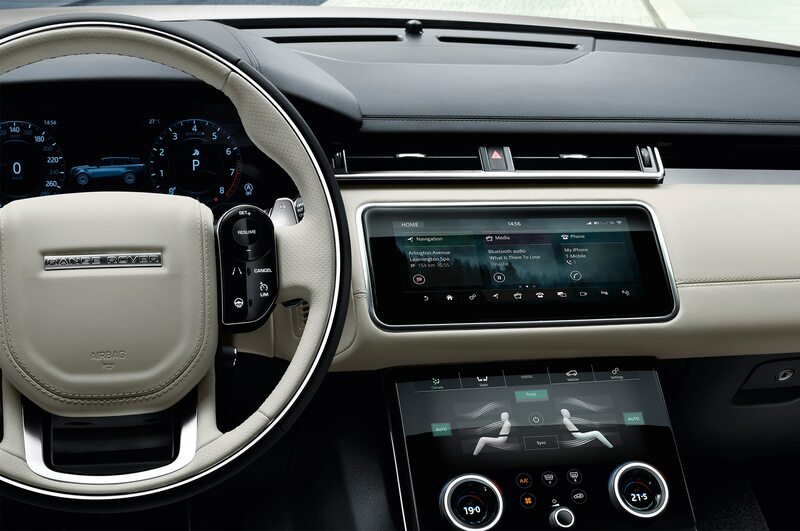 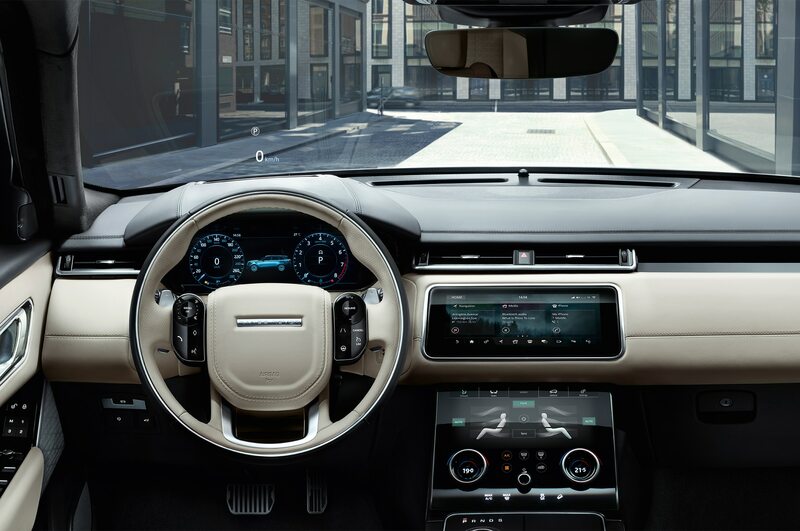 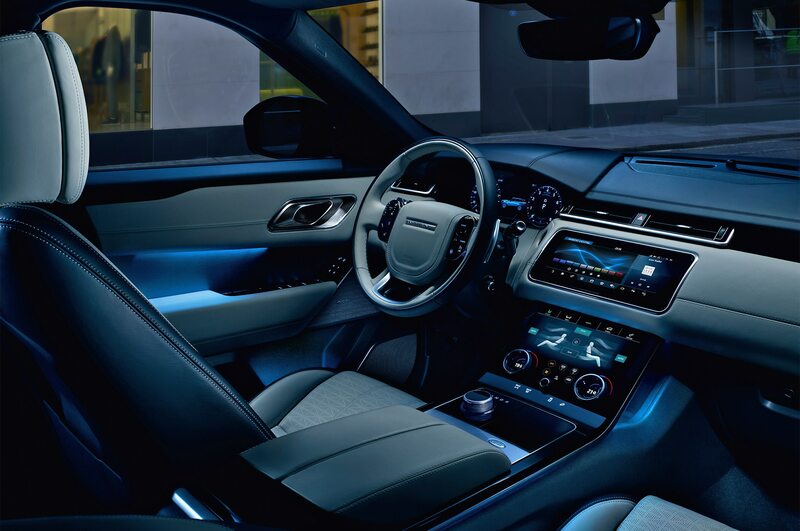 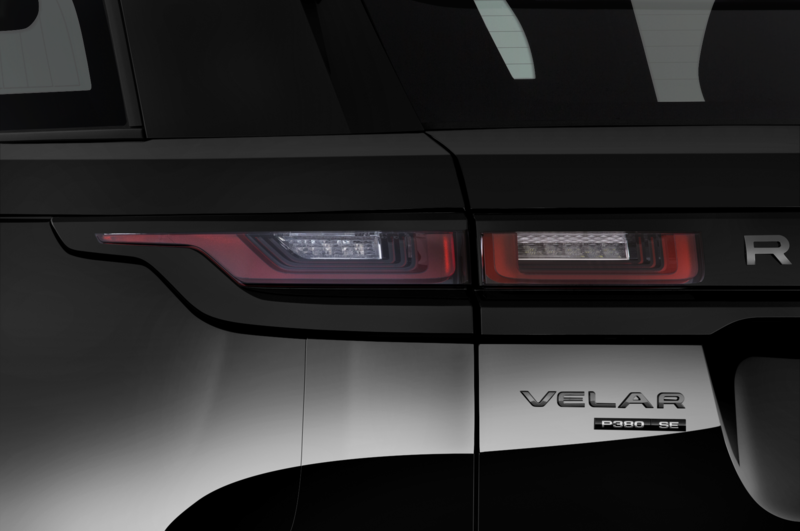 Merge onto the road and wipe the light dusting off the glass panel displays, and not surprisingly, Velar plays the part of boulevardier more convincingly. 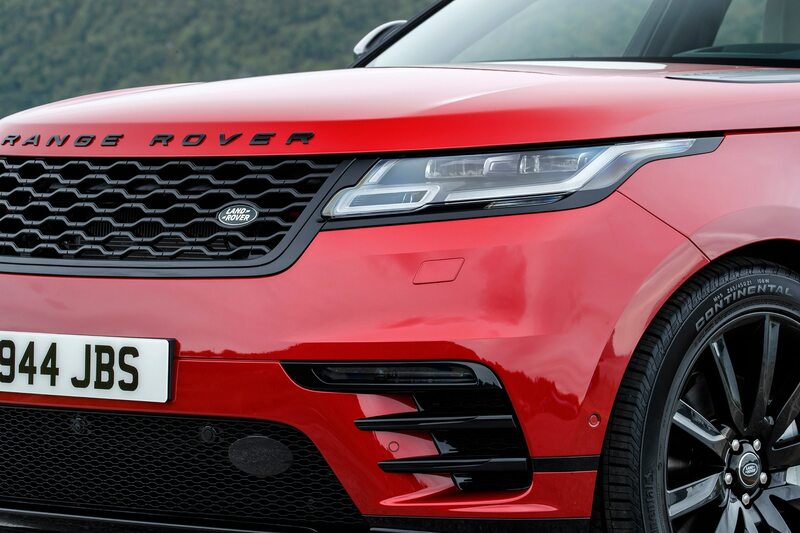 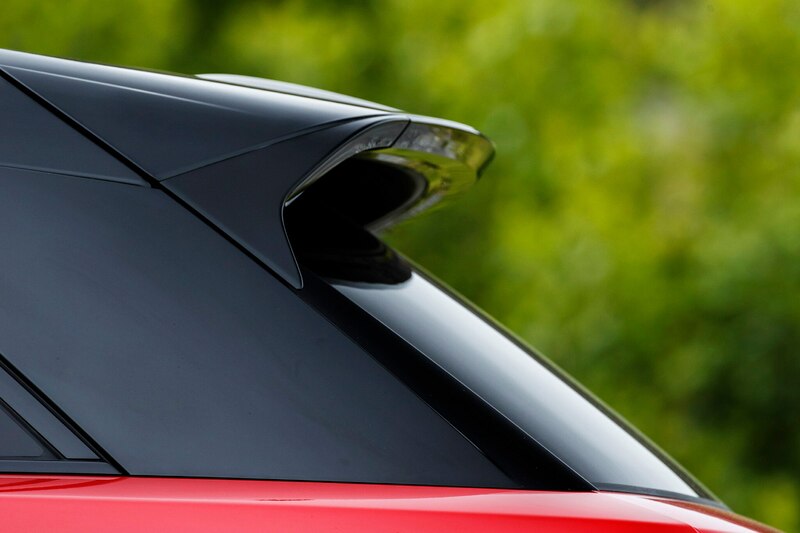 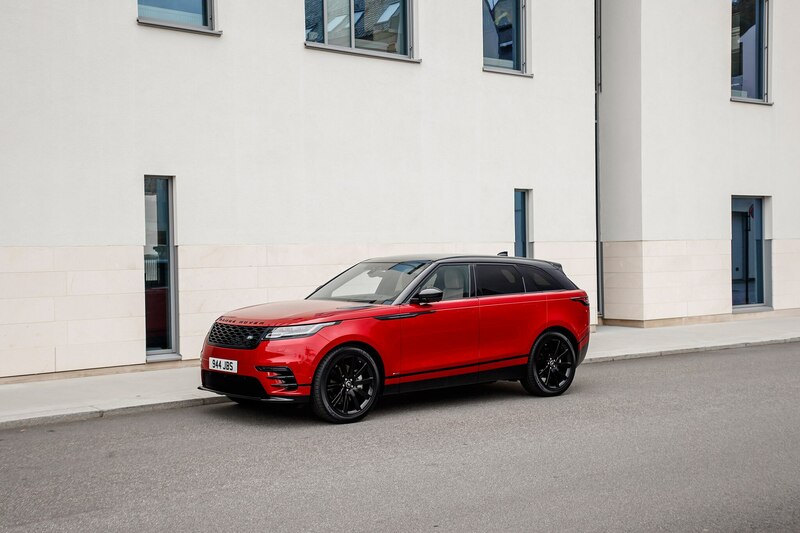 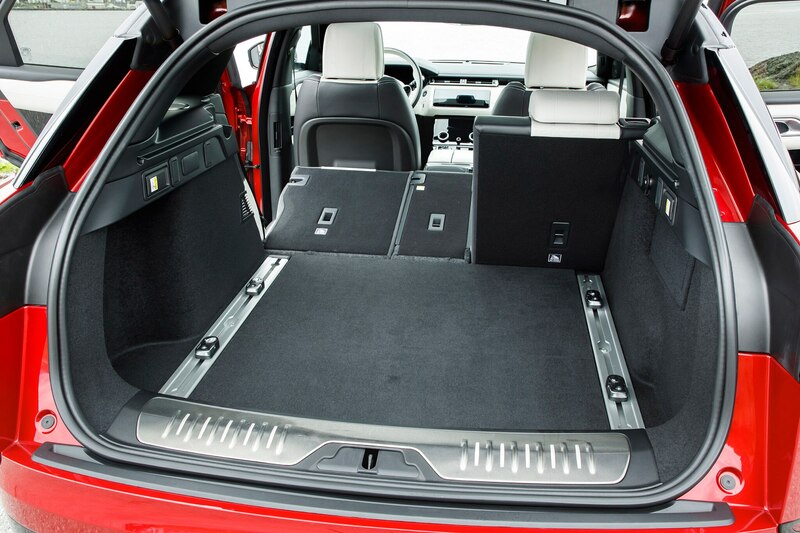 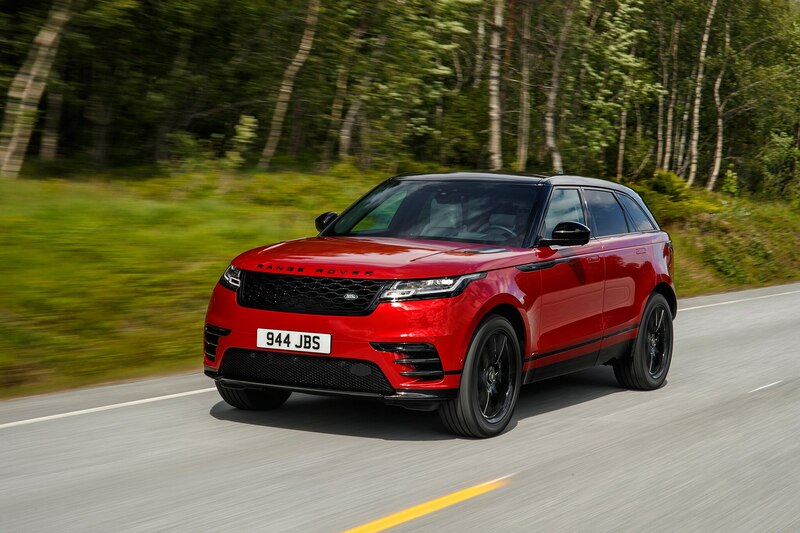 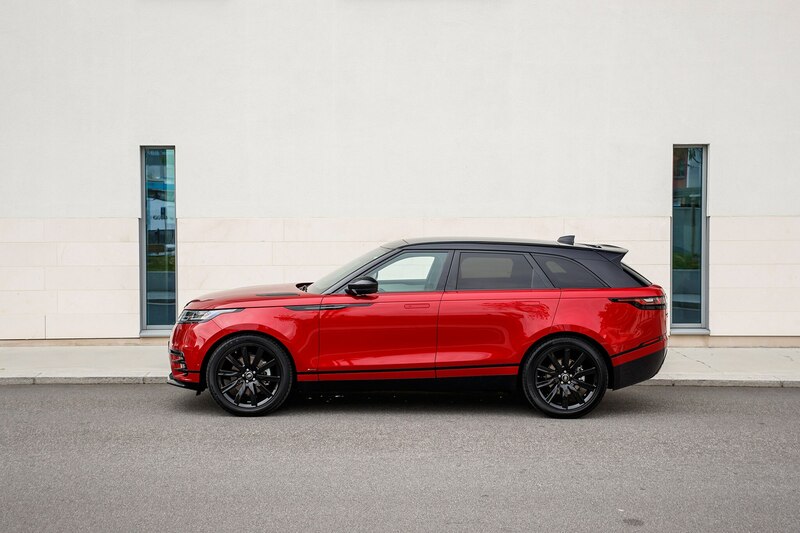 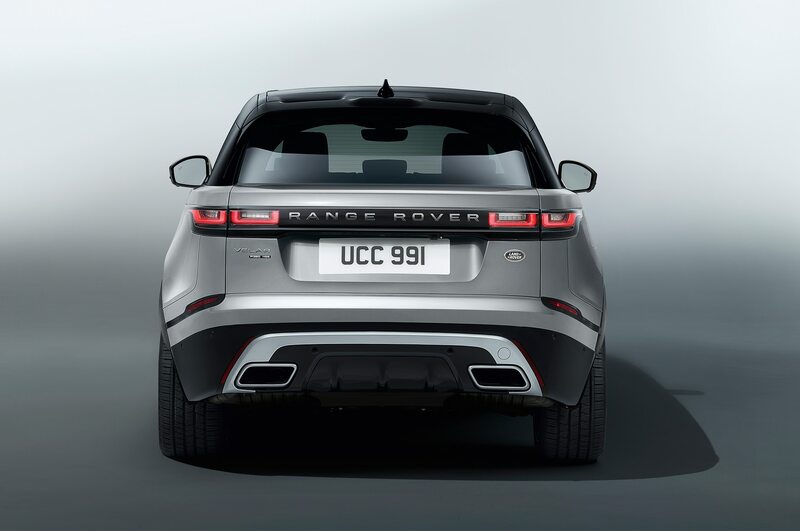 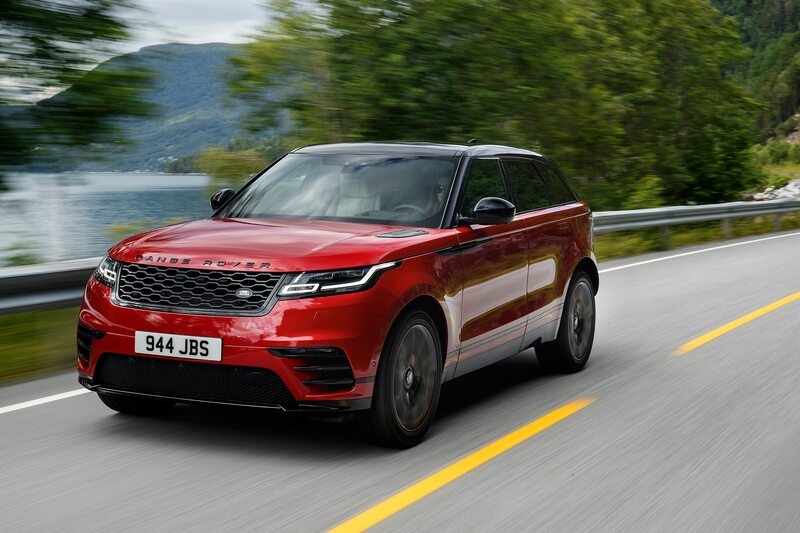 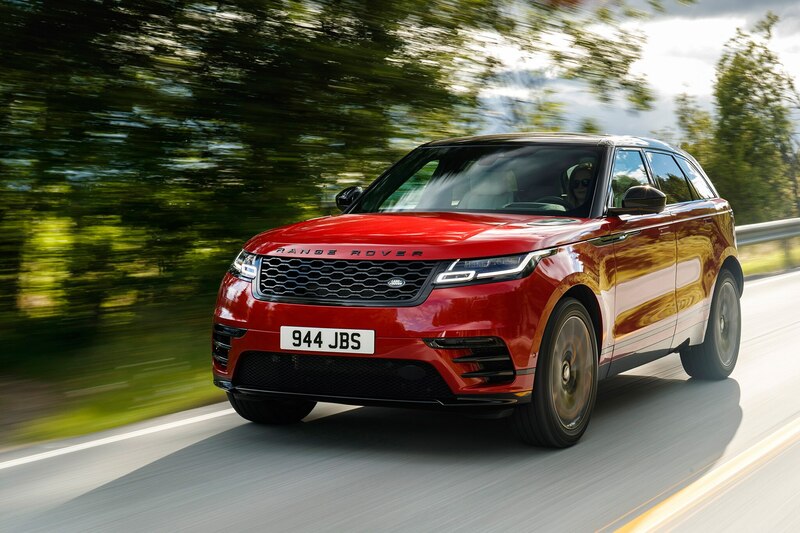 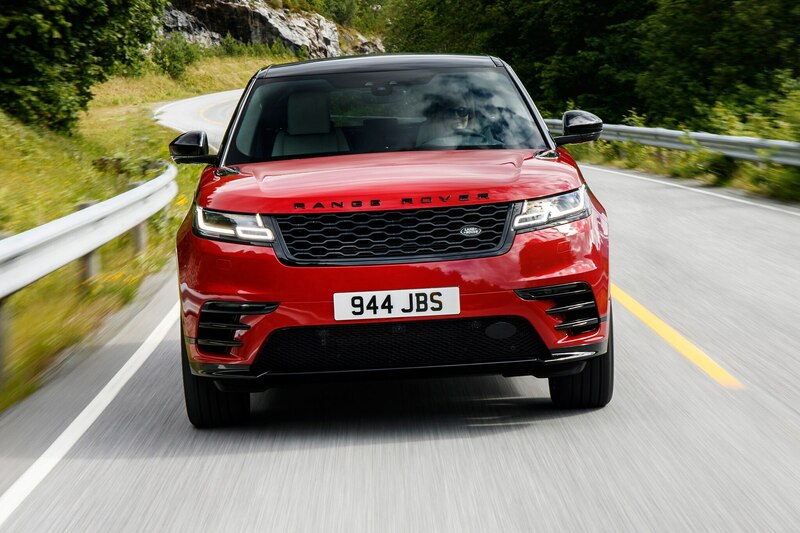 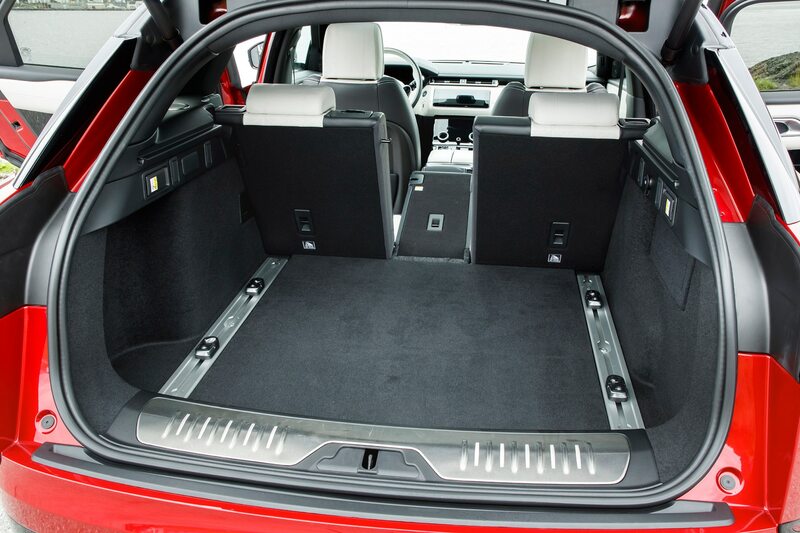 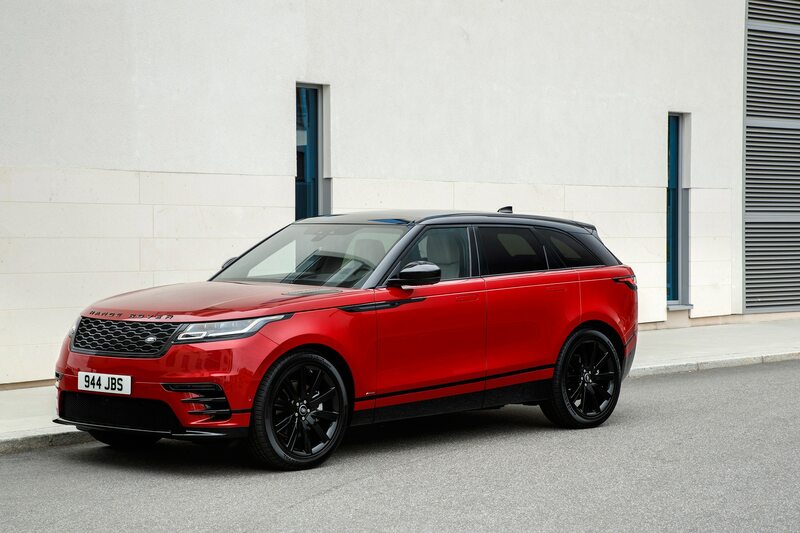 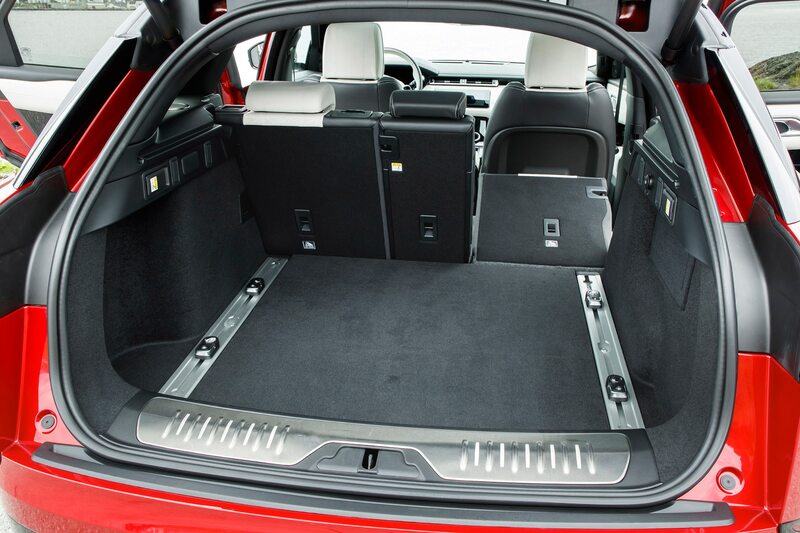 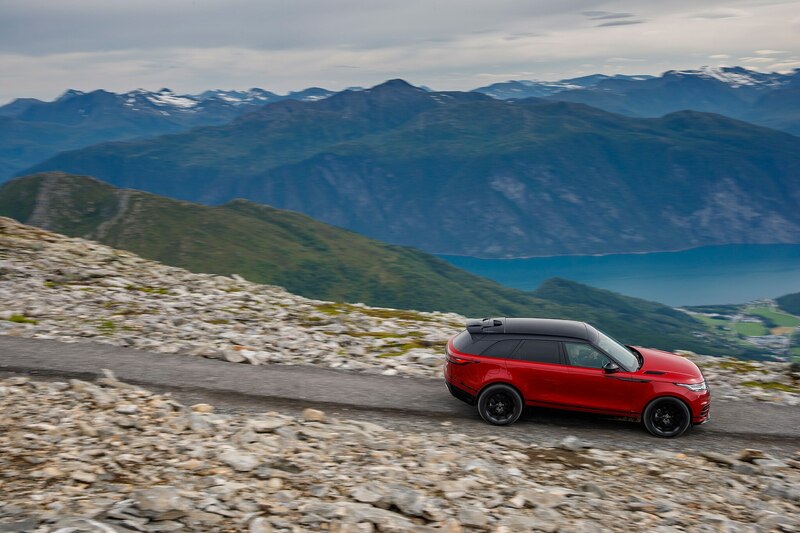 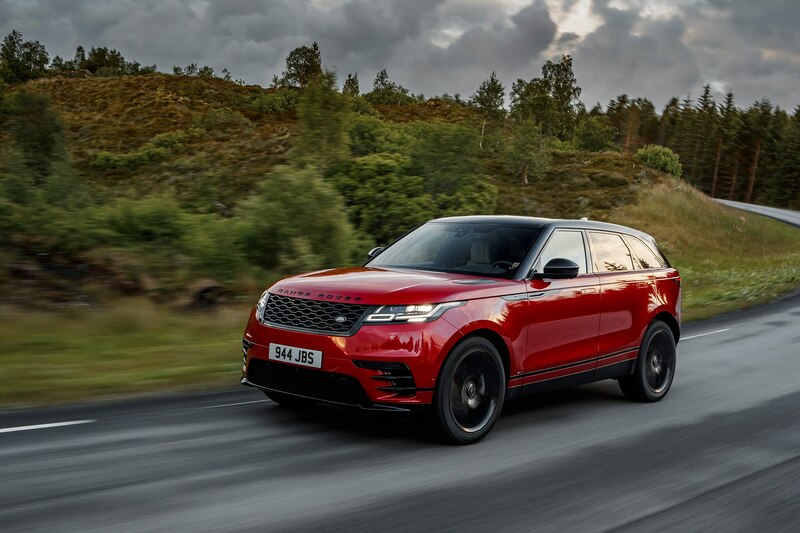 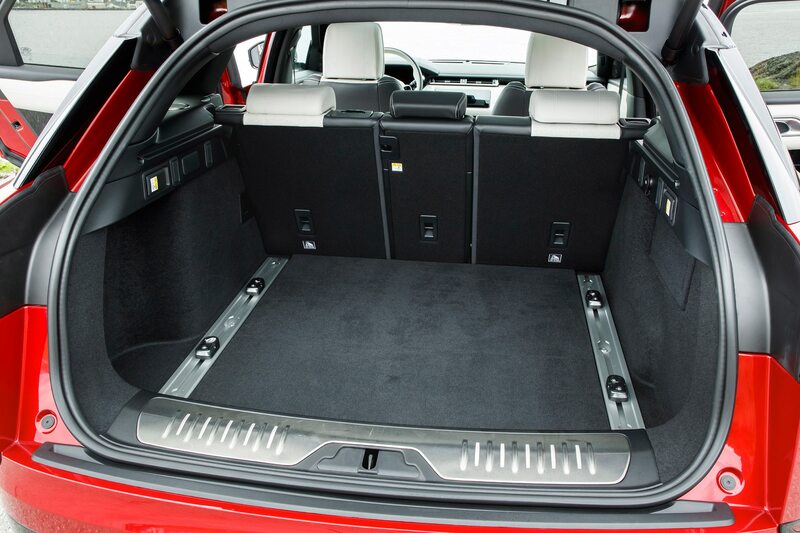 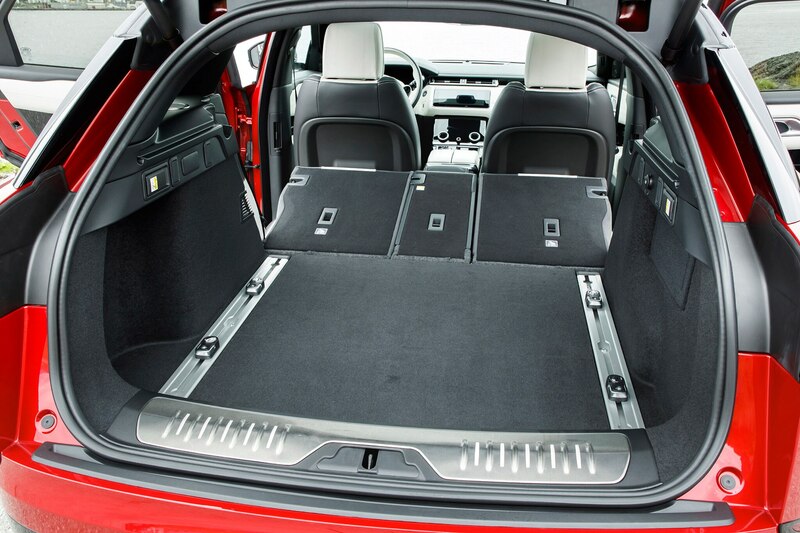 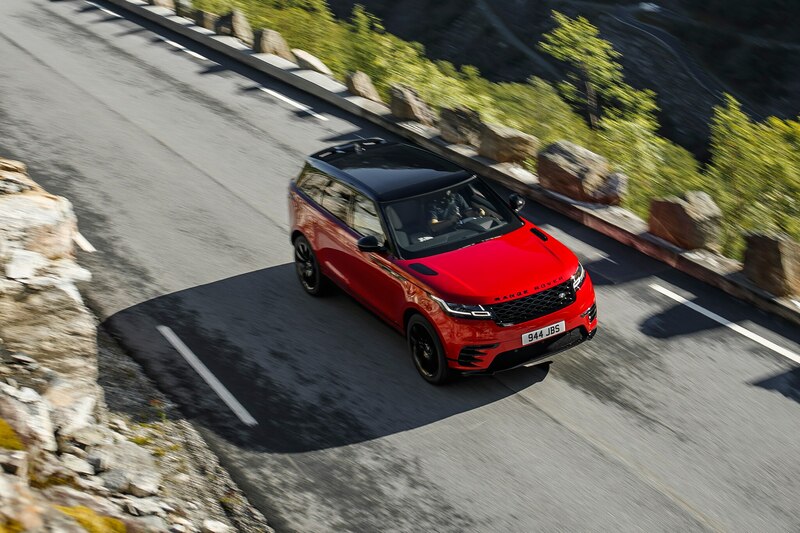 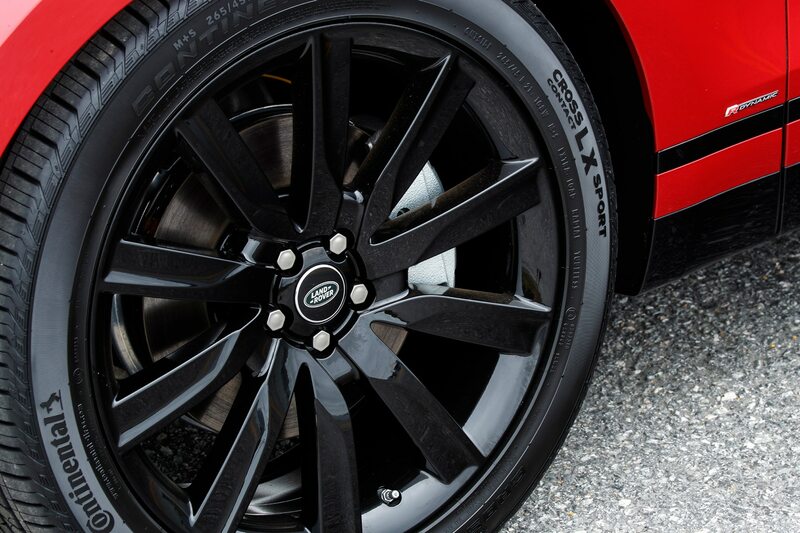 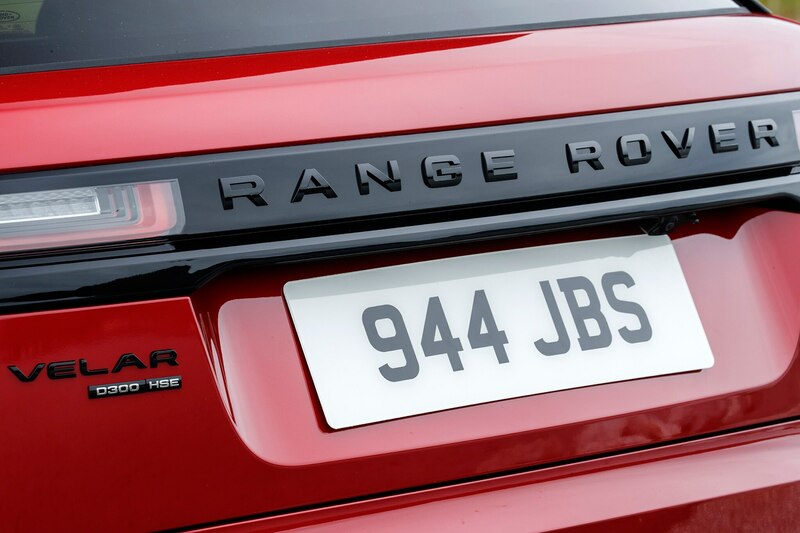 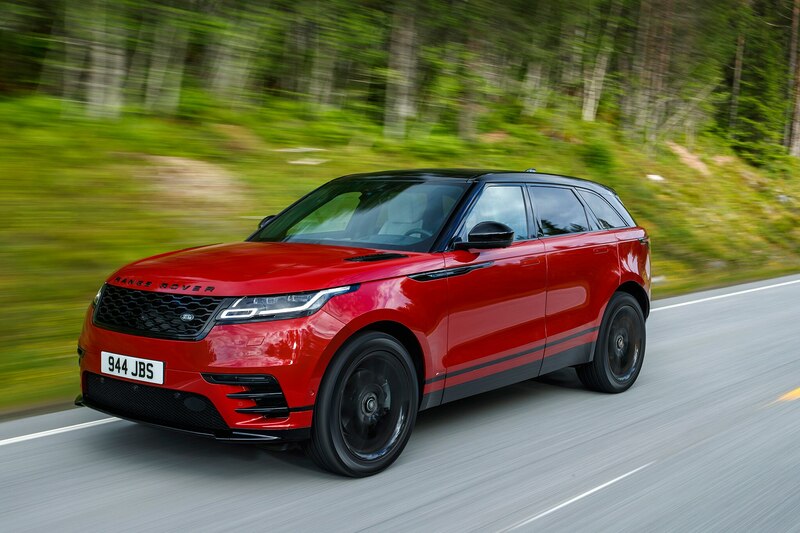 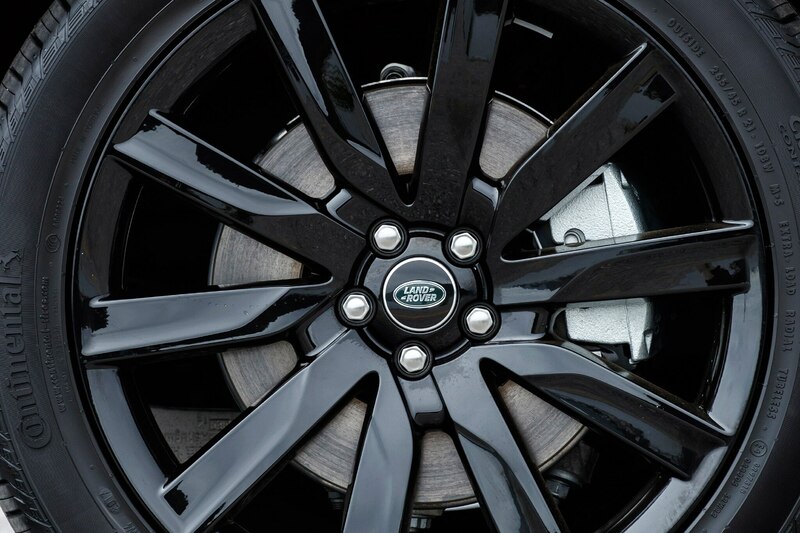 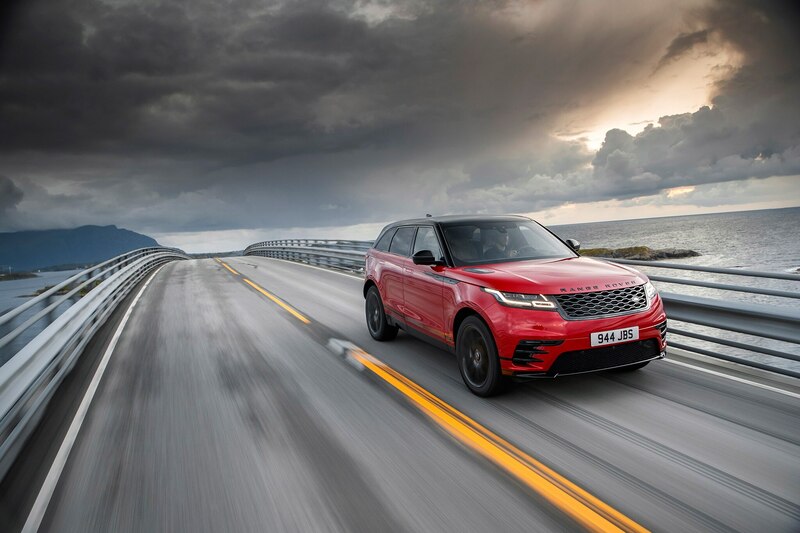 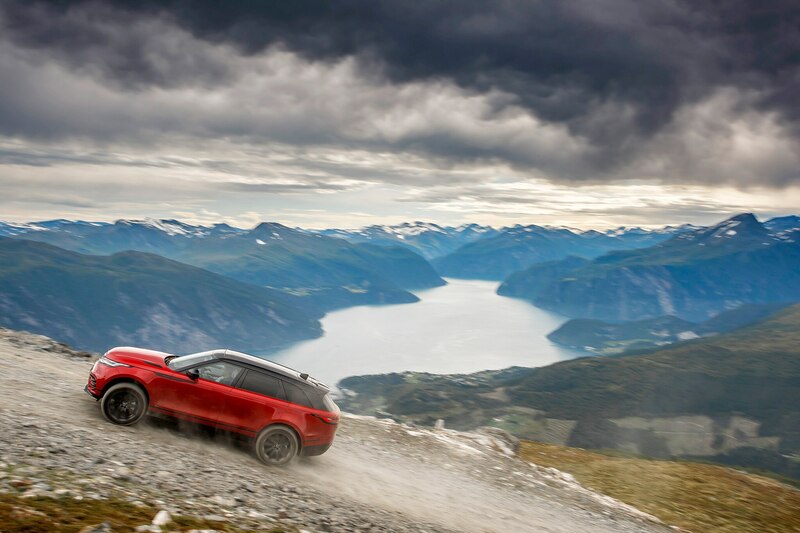 It manages small dips and big bumps with a level of composure closer an air suspension-equipped Range Rover Sport (which is roughly 2-inches longer, bumper to bumper) than the Evoque, which measures 17 inches shorter. 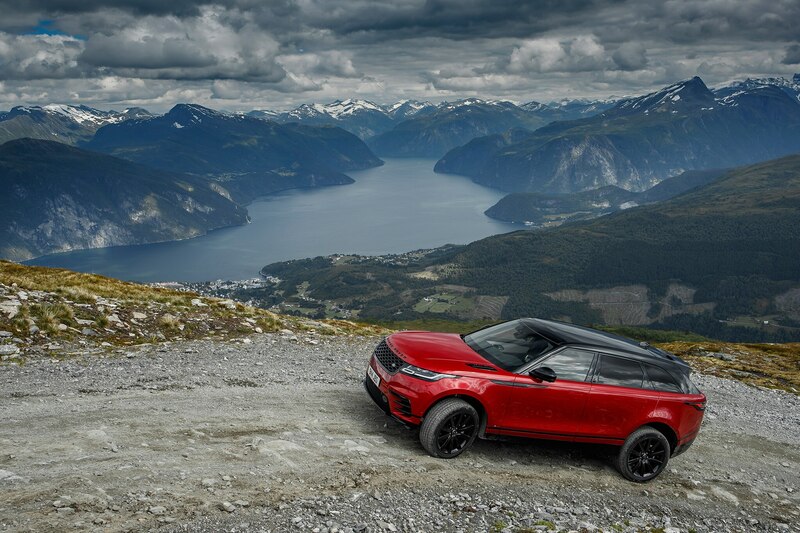 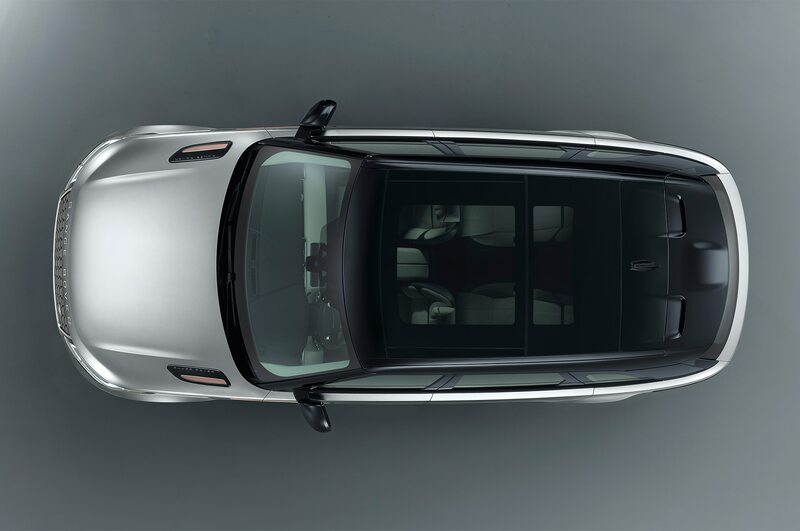 Velar rides large, with the view of its domed hood occupying a lower portion of the windshield’s letterboxed vantage point. 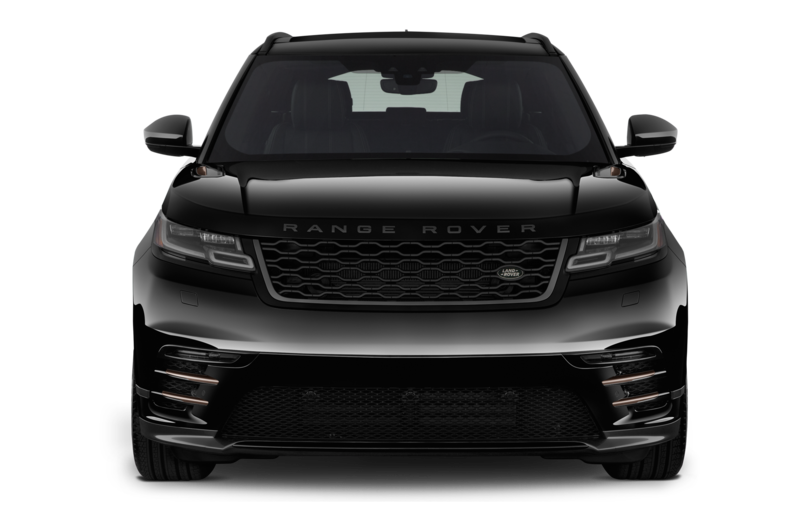 She’s a big girl no doubt, but despite its 4,471 lb curb weight (the four-cylinder diesel drops to 4,359 lbs, four-cylinder gas versions tip the scales at 4,217 lbs), direction changes take place with relative ease. 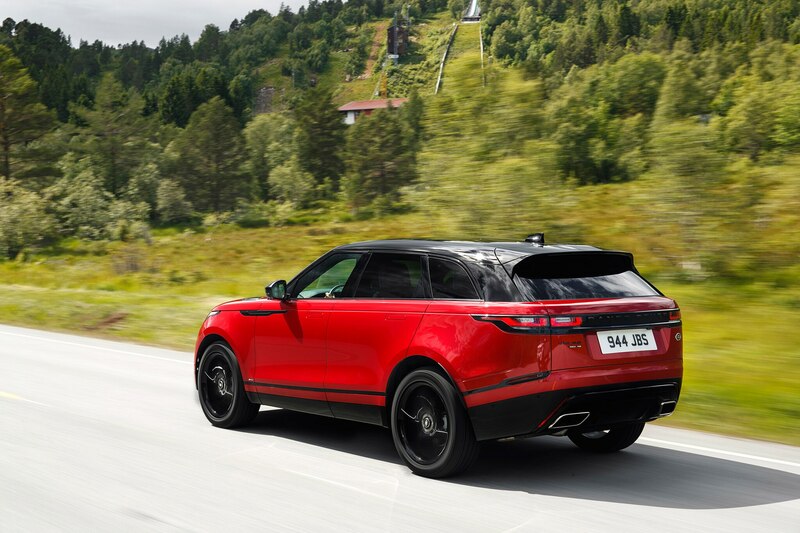 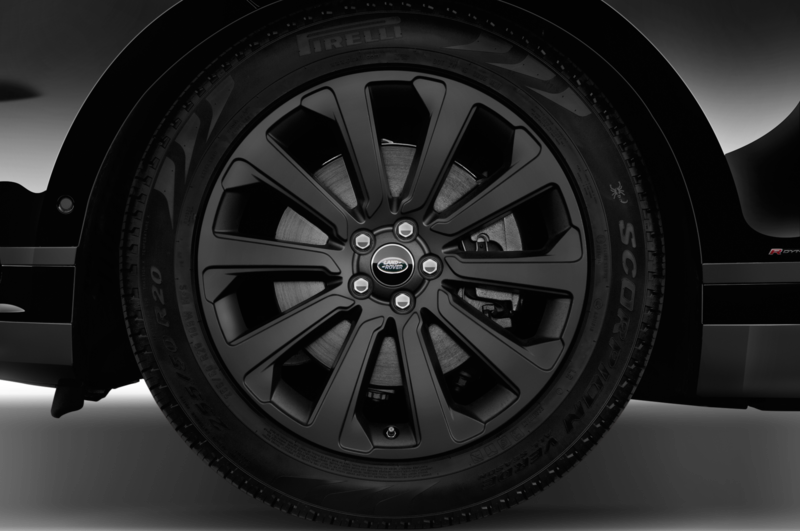 That’s thanks in part to its adaptable suspension, low profile street tires, and a brake vectoring system that squeezes the inside calipers to help rotate the vehicle. 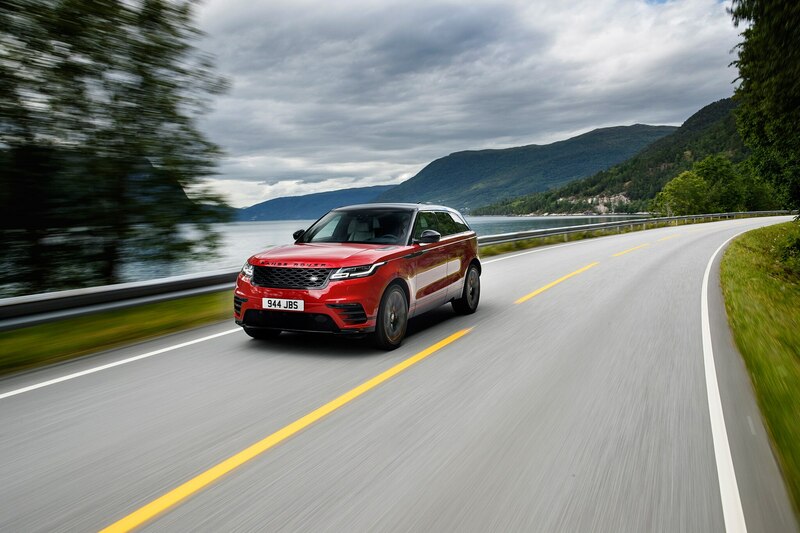 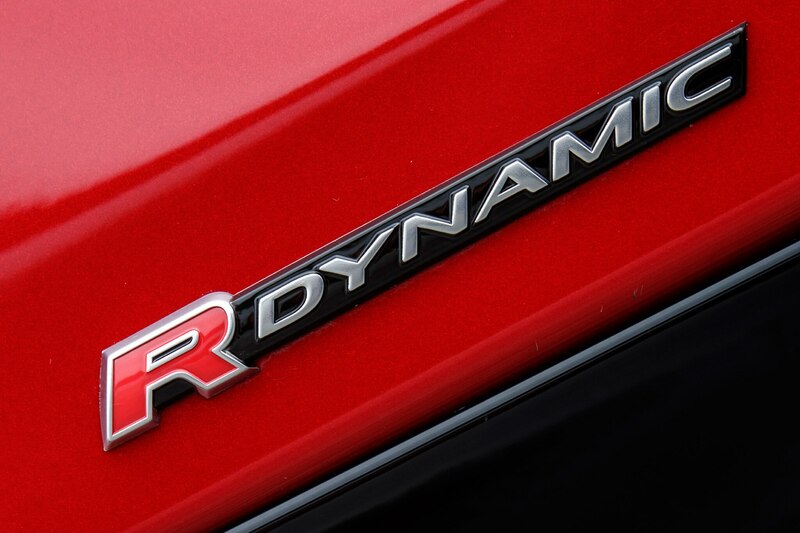 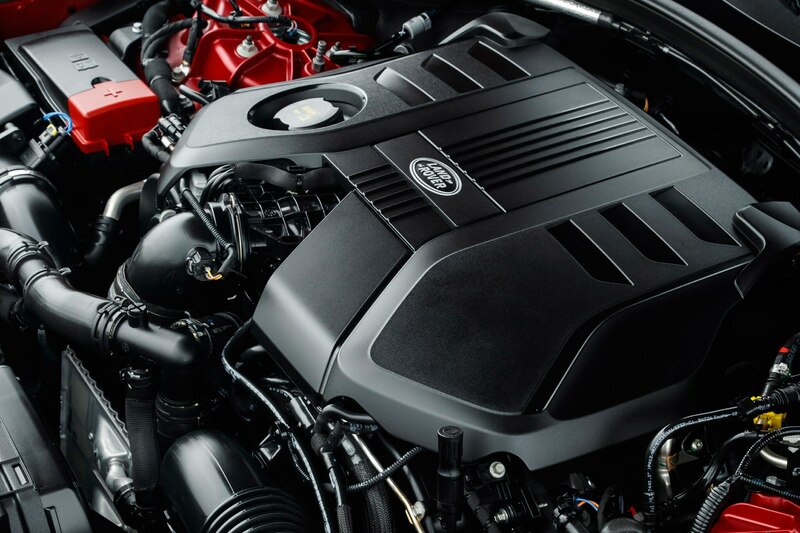 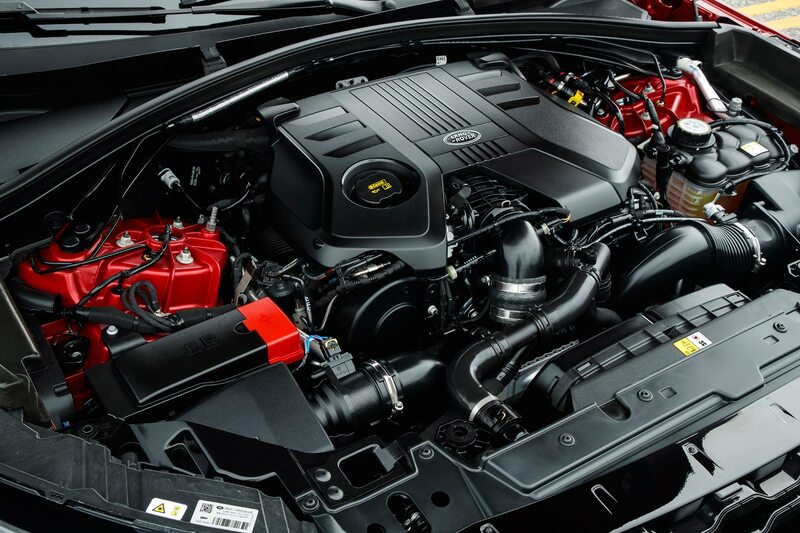 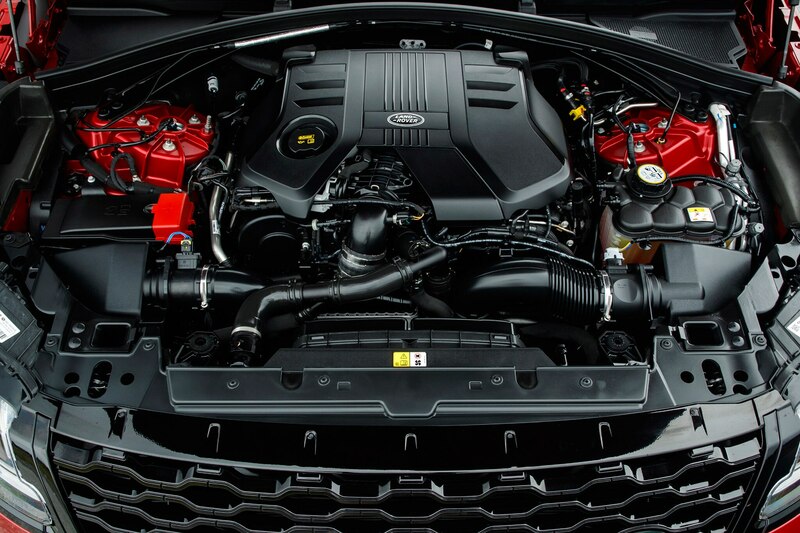 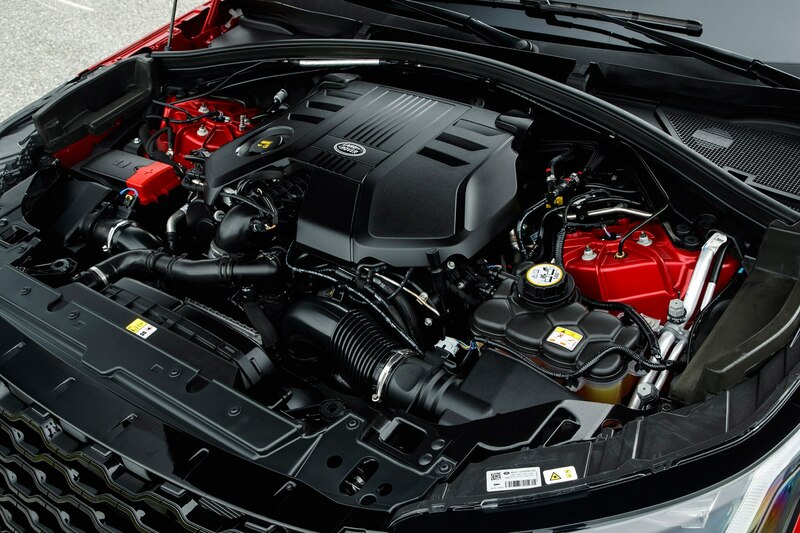 The supercharged 3.0-liter V-6’s 380 horsepower, 332 lb-ft output can scoot Velar to 60 mph in a respectable 5.3 seconds, but that acceleration feels buttery and predictable thanks to the engine’s linear power delivery and the ZF 8-speed’s smooth shift action. 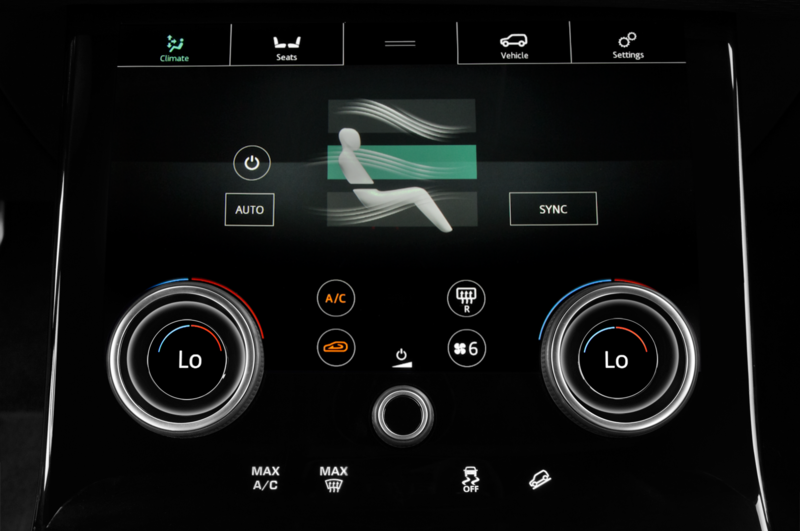 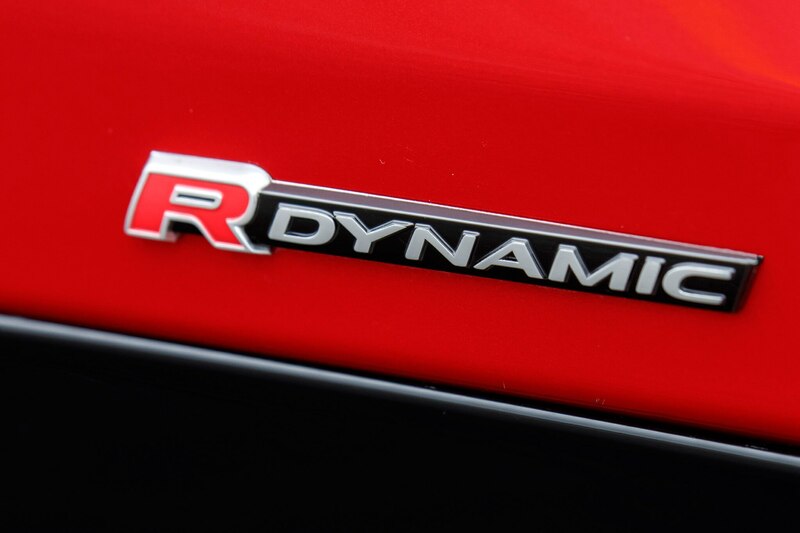 Driving modes can be switched via the lower touchscreen panel or physical dials which double as HVAC controllers. 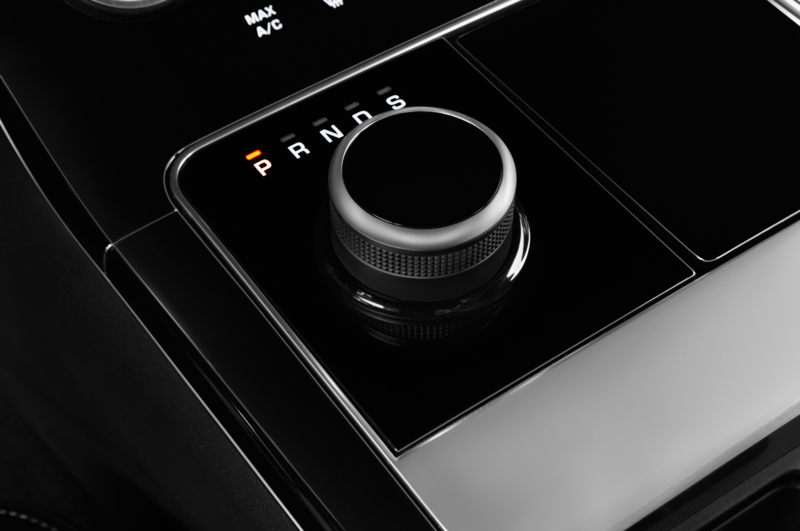 While preset drive modes are easy enough to set, the bottom capacitive touchscreen also enables all parameters — engine, transmission, suspension, etc. 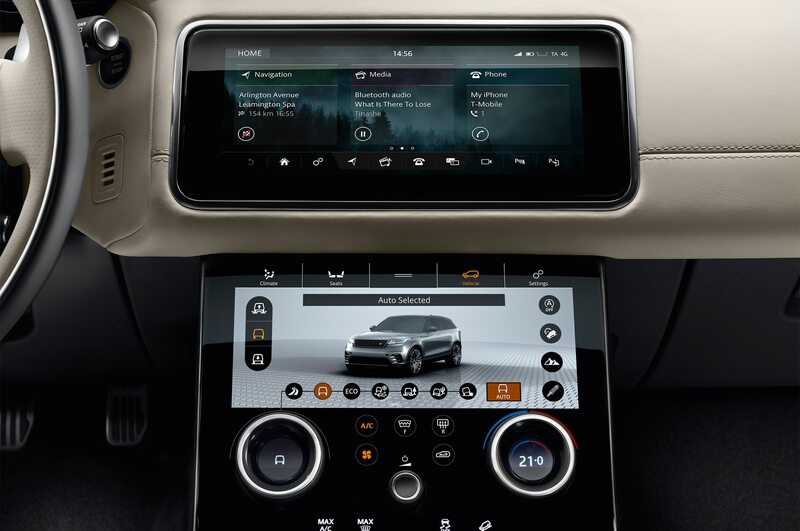 — to be displayed and adjusted at one, which might quell some critics who might resent the electronic interface overload. 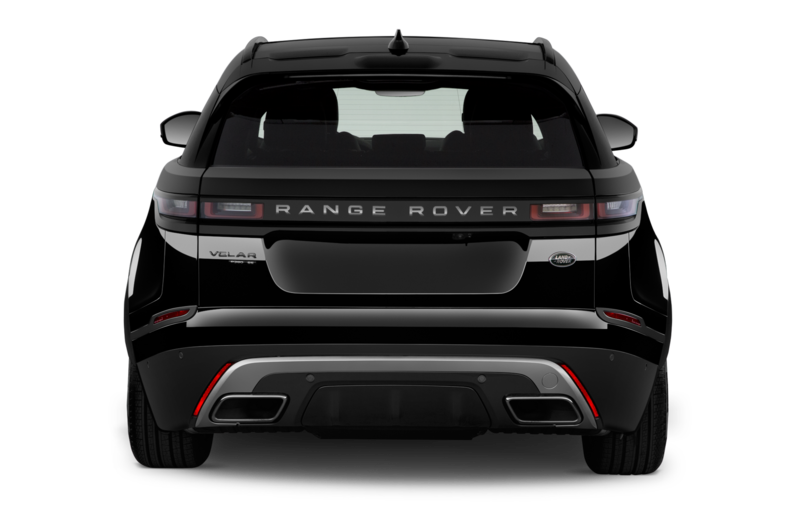 The quality of the screen image is exceptional, with crisp, vivid high-resolution graphics and pleasantly illustrated vehicle photography to support the settings (witness various versions of artfully depicted Velar kissed with studio-like light). 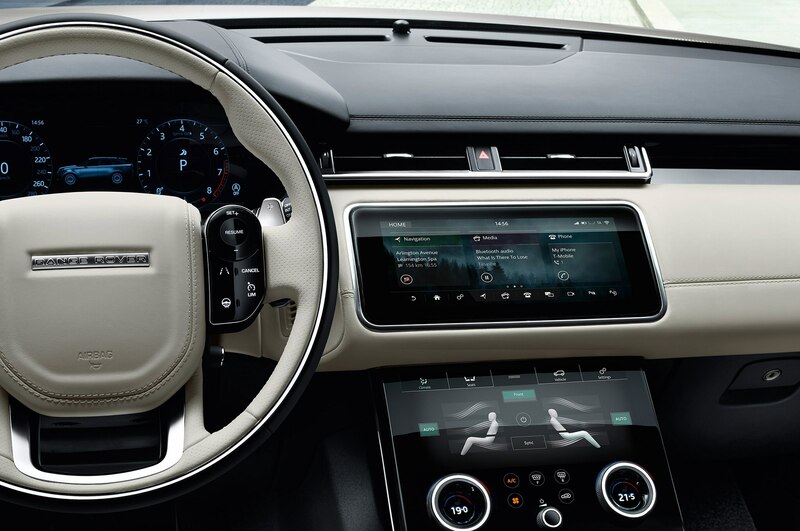 The vehicle’s multifunction instrument panel ahead of the driver is sharp enough (as are the two central screens), but despite the relatively seamless integration and easy access to most important data points, there’s something lost with the abandonment of physical gauges. 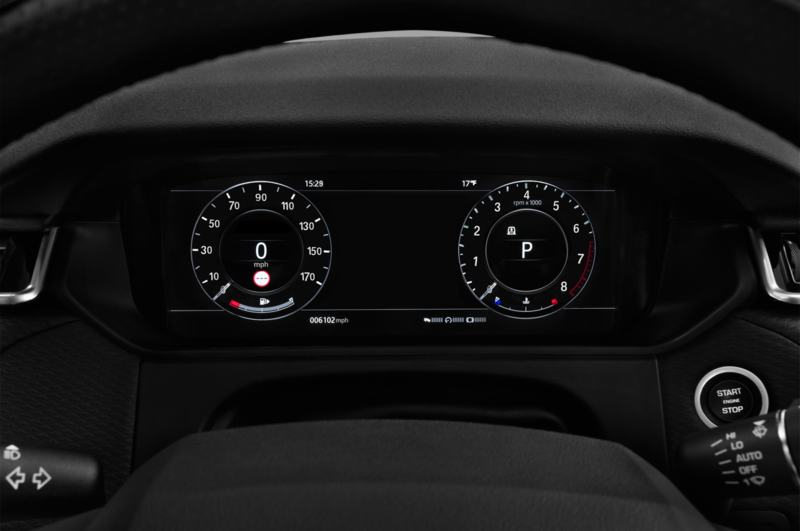 The screens glow vivaciously in daylight and their seemingly frictionless surfaces dim to a slick, black blankness when switched off, but this digitalization marks the end of a great era of mechanically analog information transfer. 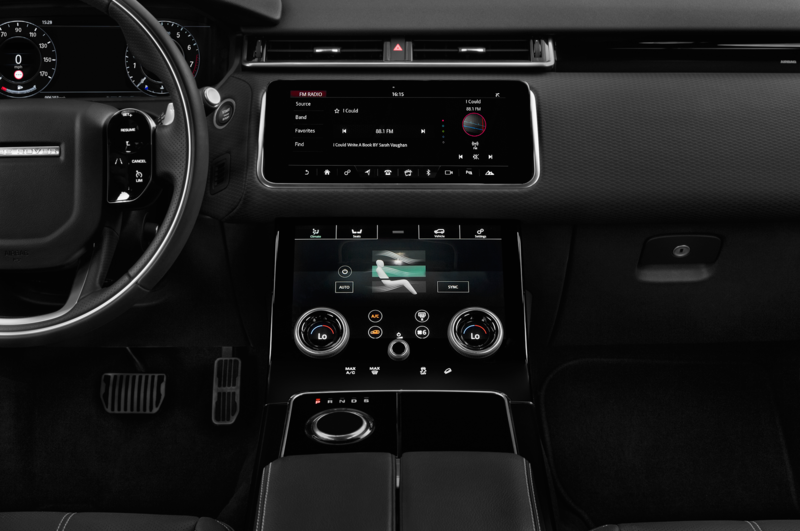 Additionally, there’s no haptic feedback when you touch those screens and sometimes, especially when G-forces interfere with the task at hand, it takes a double tap to push those small virtual buttons. 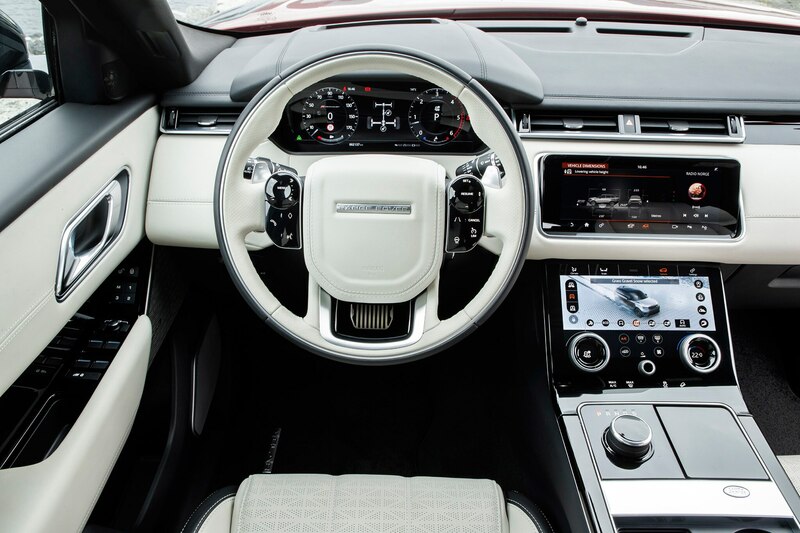 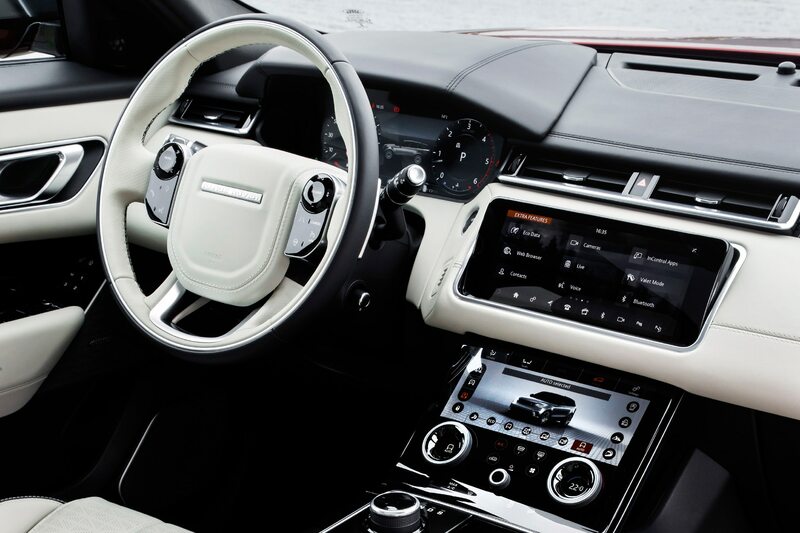 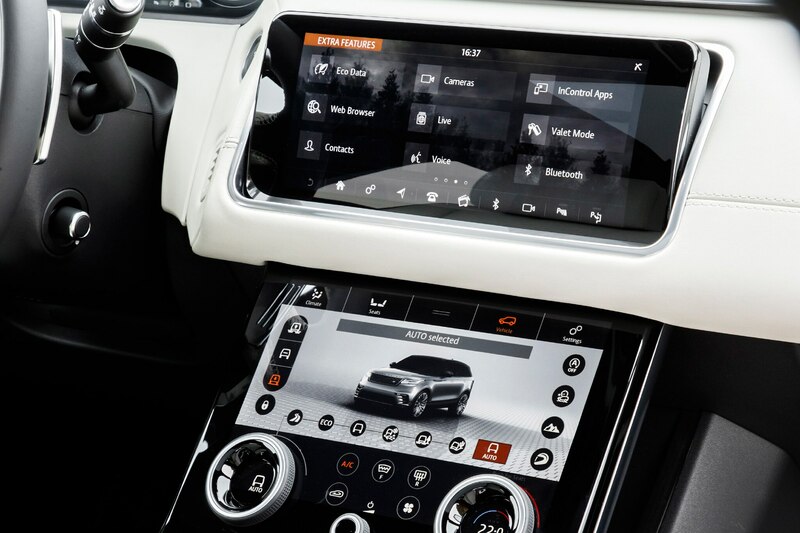 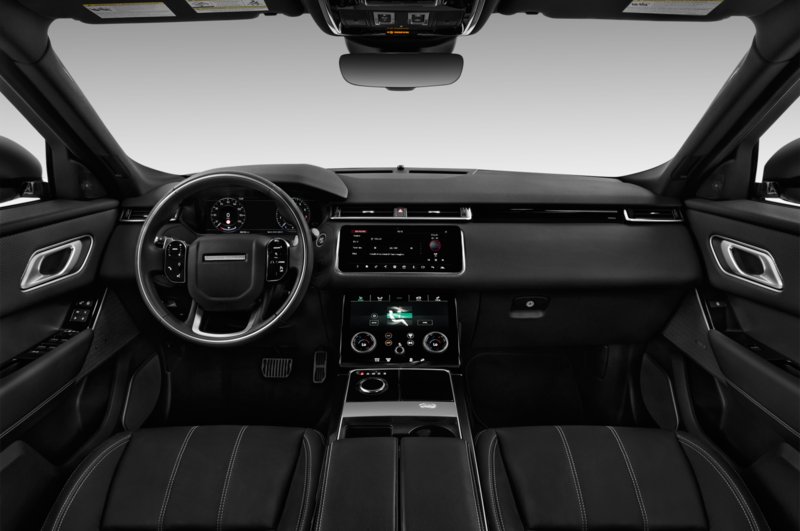 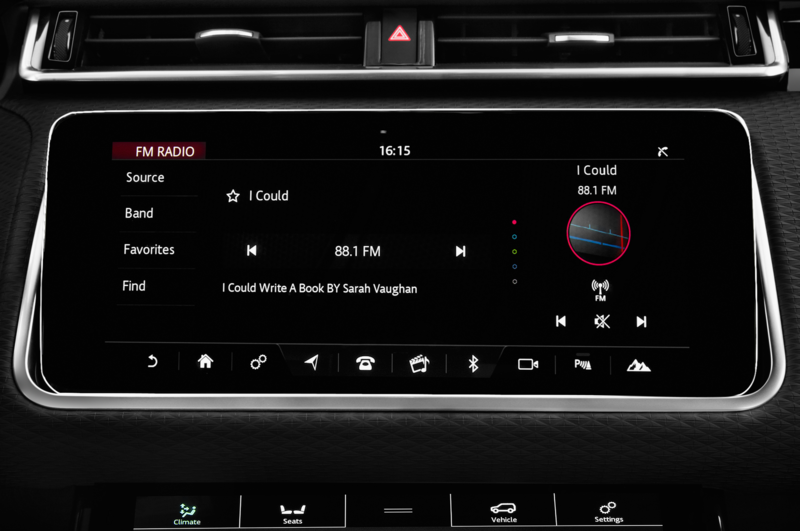 The world’s most glamorous brands — Rolls-Royce, Bentley, and Mercedes-Benz among them — have taken to fully or near-fully digital displays, so it’s no shock Land Rover has finally climbed aboard as well. 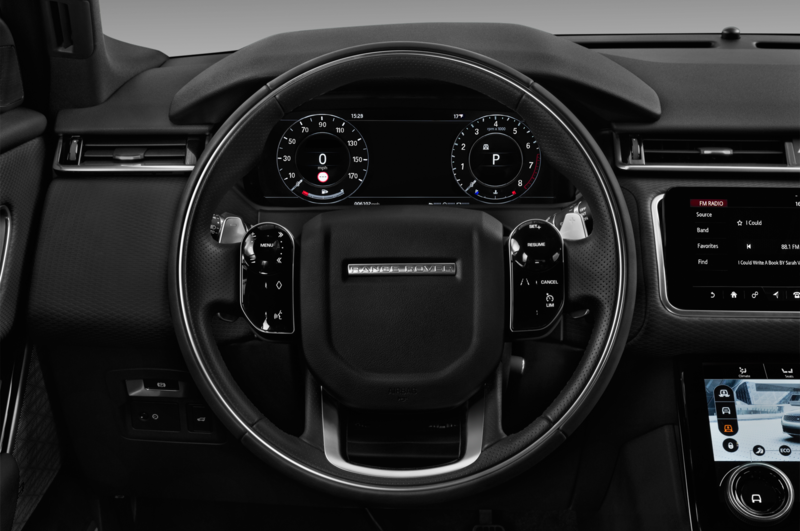 At least the two real rotary dials take over some of the functionality and can be configured to control different functions. 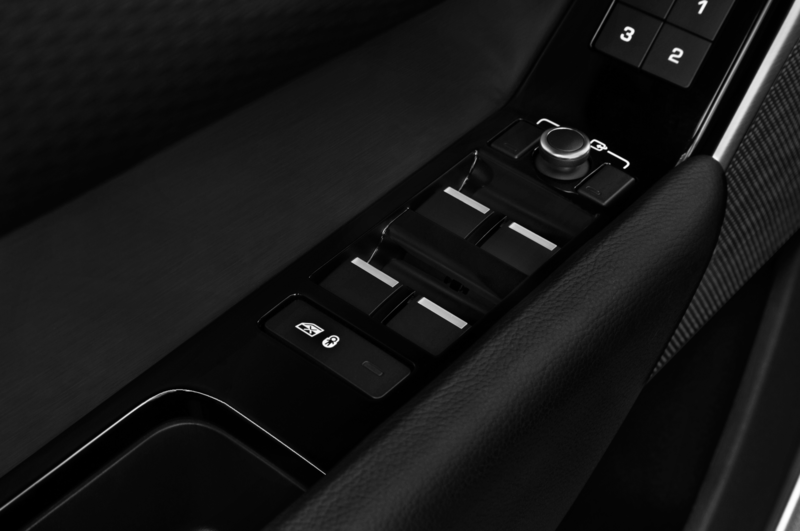 There’s also a smaller physical dial allowing for quick volume or power adjustments. 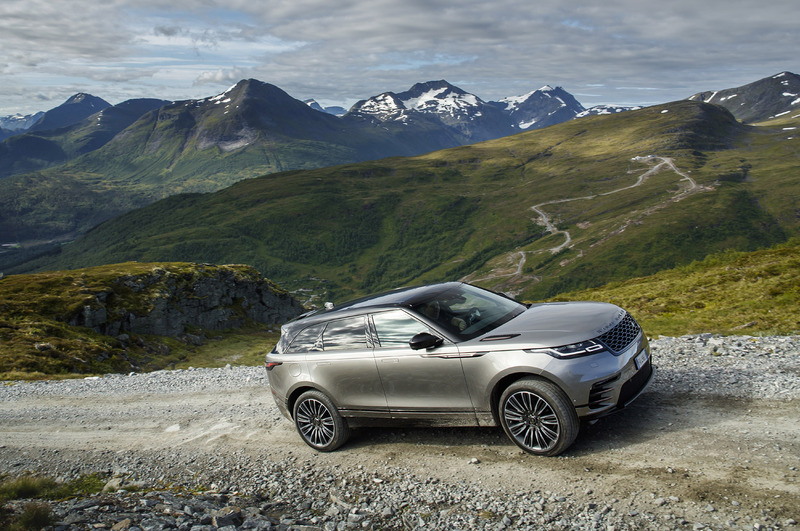 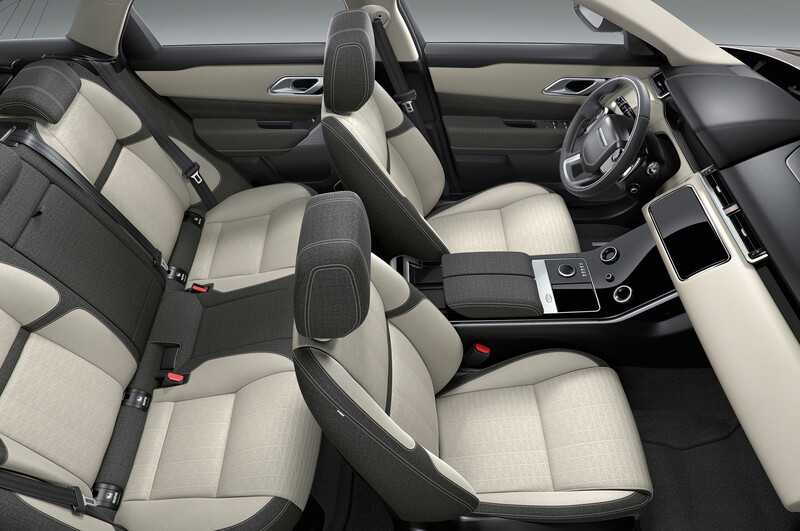 The interior of our First Edition Velar plays a convincingly plush mini-me to the range-topping Range Rover. 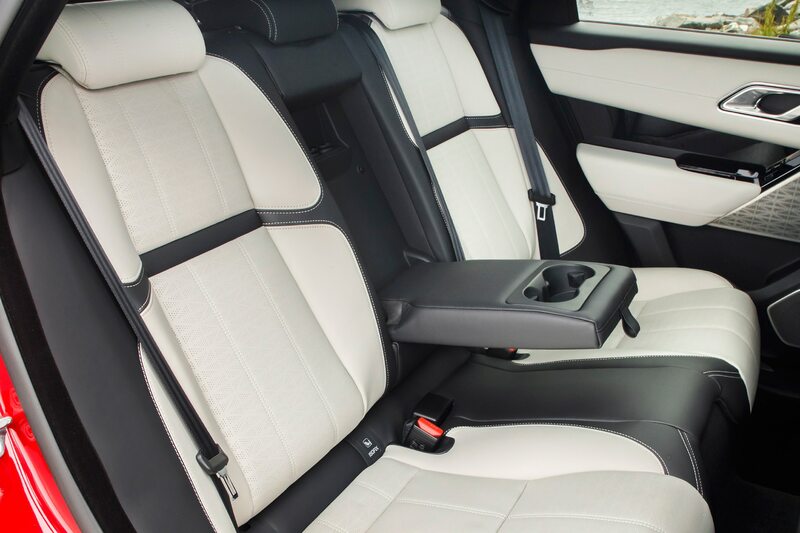 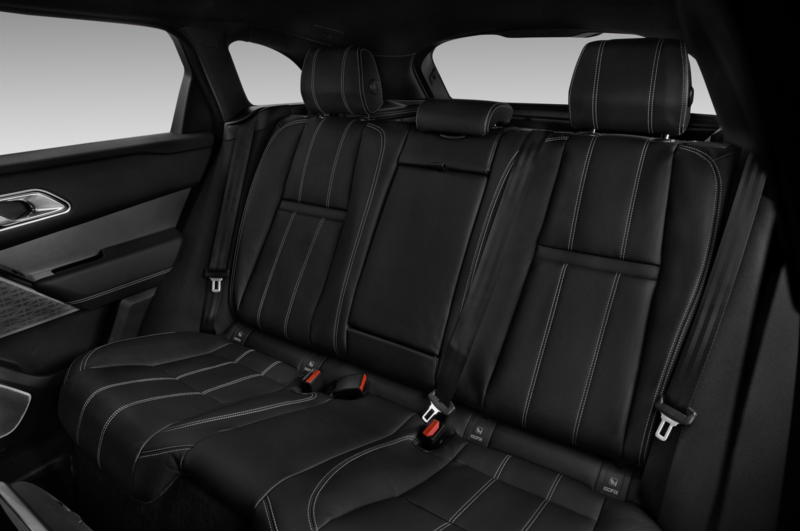 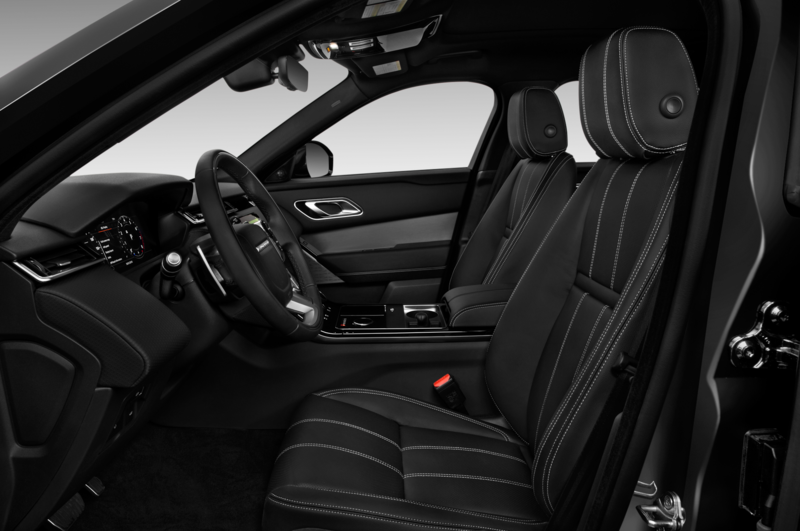 With soft Windsor leather across the doors, steering wheel, and the brand’s so-called full width unbroken beam dashboard, there’s a sense of specialness and luxury that’s rounded out by an Alcantara headliner and details like cut diamond perforations, which form a subtle array of Union Jacks across the seat centers. 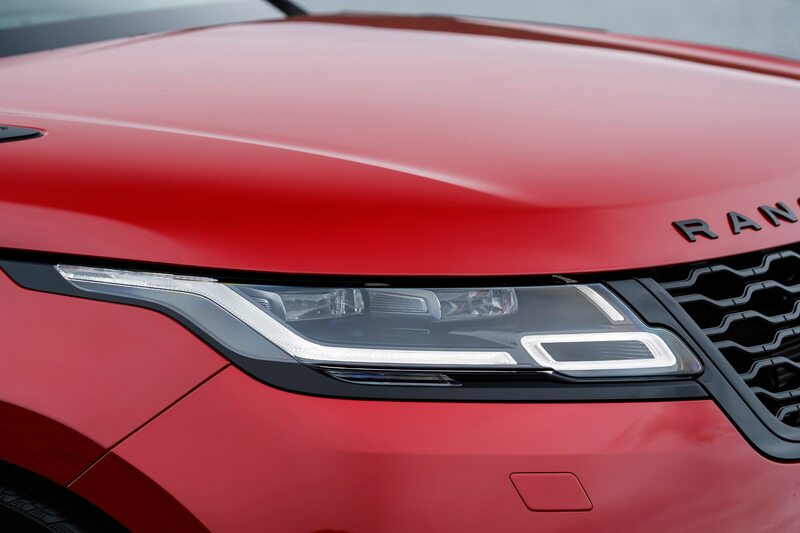 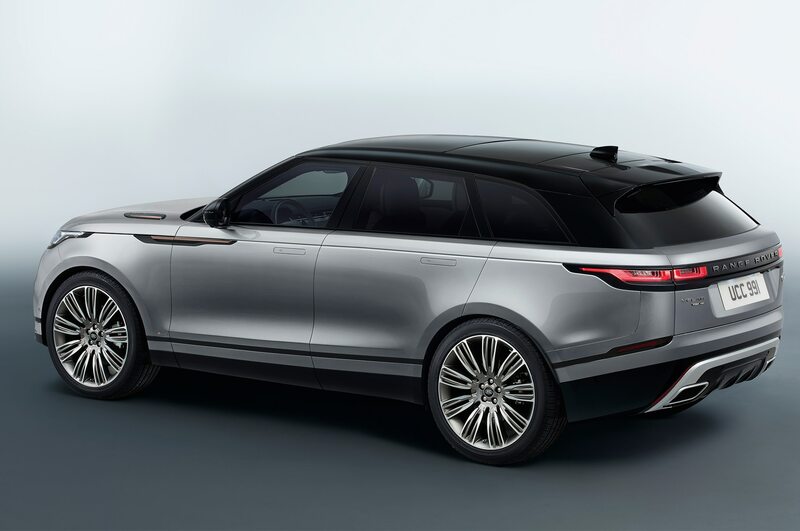 Chief designer of color and materials Amy Frascella says the pattern was green-lit after it occurred by happenstance, though there appear to be few accidents in the execution of the Velar. 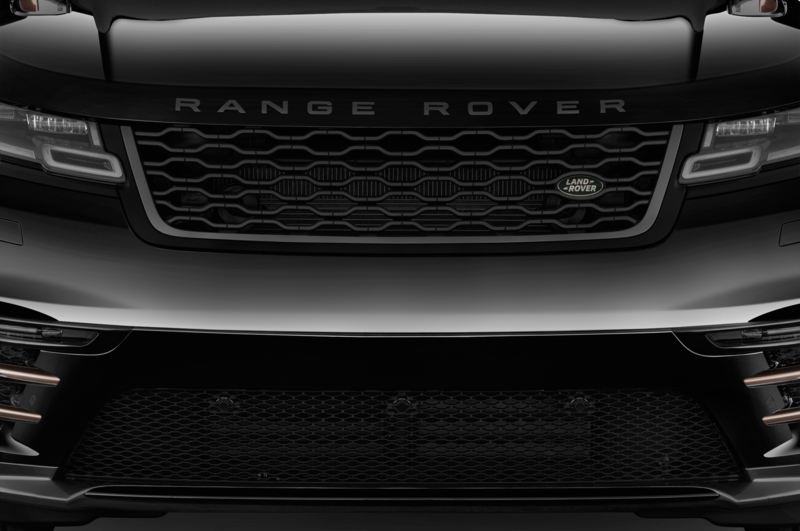 Some choices are a tad trendy (witness the copper bumper blades and fender vents), but our tester also offered no shortage of lovely fashion forward details, from the sharply carved matrix-laser LED headlamps to the Flux Silver satin paint, which is only available on First Edition models — capped at 500 units for the U.S.
Another pleasant touch is Range Rover’s first textile trim to be positioned on the same level as leather, a hide-free option that’s available as a no-cost alternative to the top-tier Windsor trim. 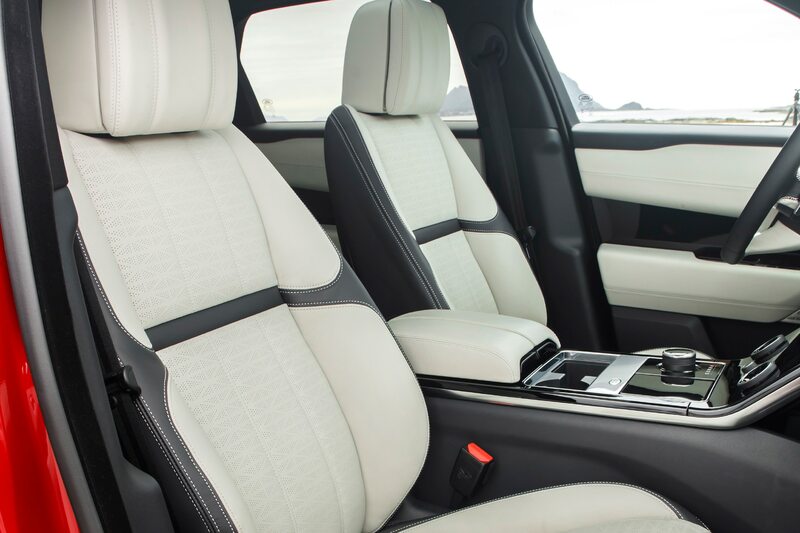 Kvadrat, a Danish company that has supplied high-end furniture manufacturers like Knoll and Vitra, manufactures the wool/polyester blend that feels and looks like an expensive men’s suit. 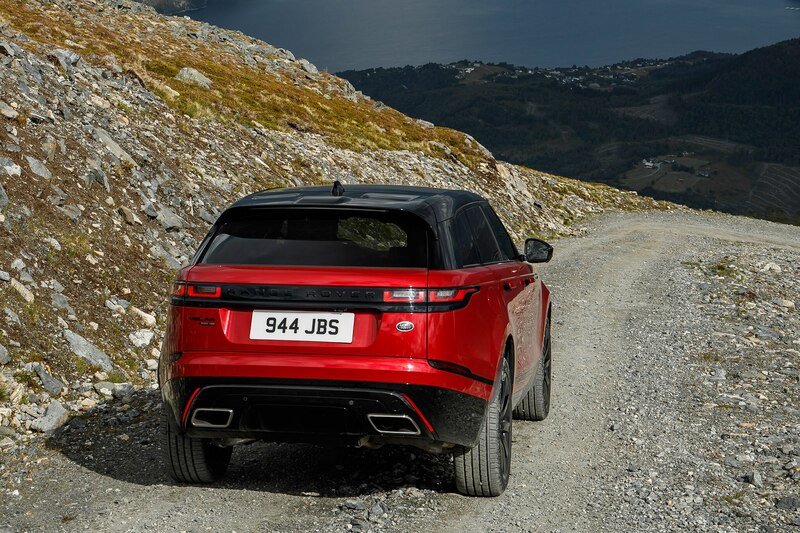 The polyester portion softens the tactility and helps with wickability (early samples with a higher wool ratio didn’t pass Land Rover’s fogging test). 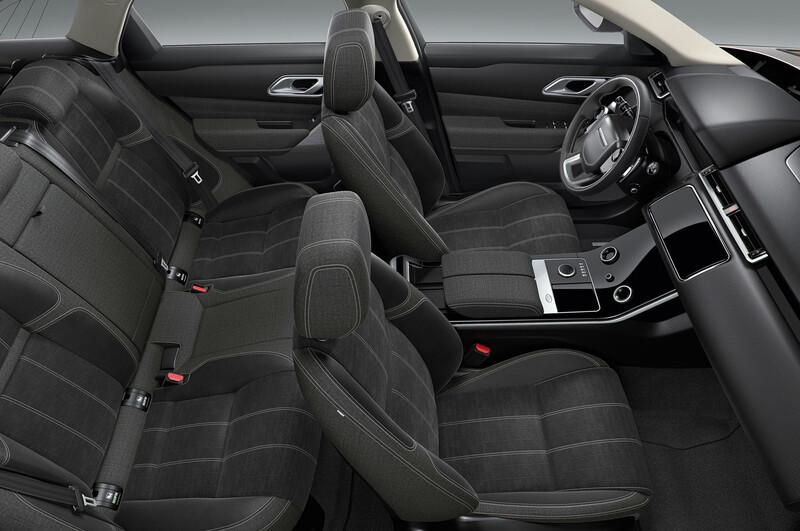 The accenting Miko cloth is manufactured from recycled bottles but creates a convincing doppelgänger for suede. 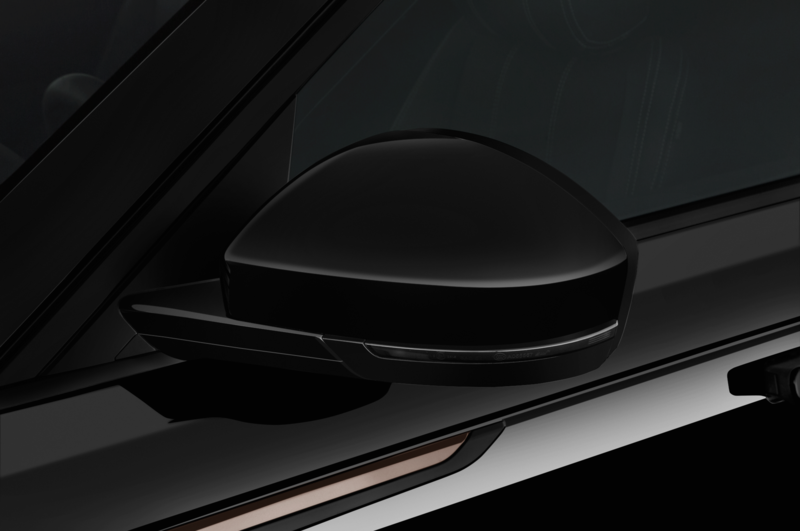 “I don’t want to call this a fringe activity,” Fraschella says, referring to the alternative interior, “[because] the fringe is starting to become the norm. 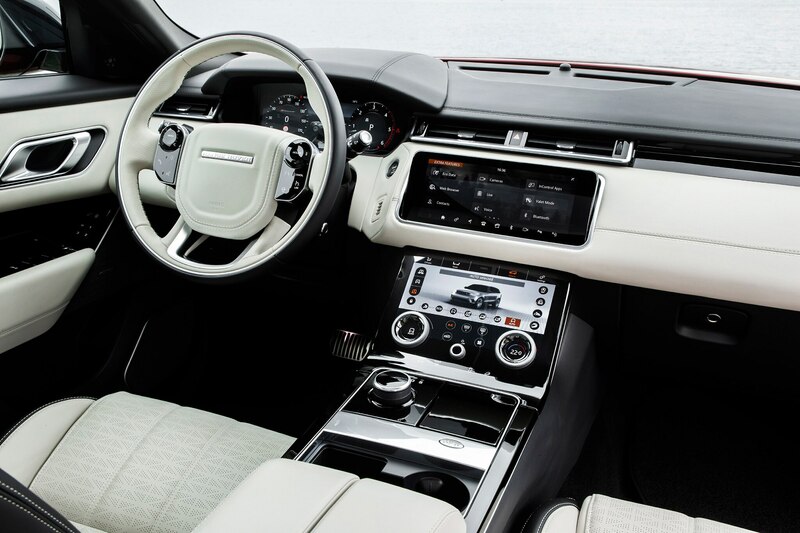 Being a vegan or a vegetarian, nobody really questions that anymore.” That said, when Land Rover chief designer Gerry McGovern approved the fabric option, he led Fraschella’s design team to a decidedly old world source for further inspiration: his Savile Row tailor. 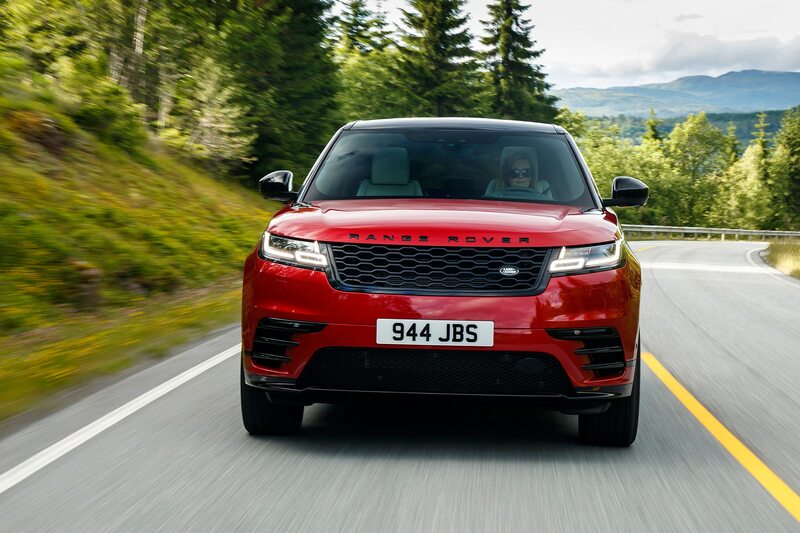 The Velar’s subtext might be subtlety, but a recurrent thread is a shock of the new that (mostly) peacefully coexists with the comfort of tradition. 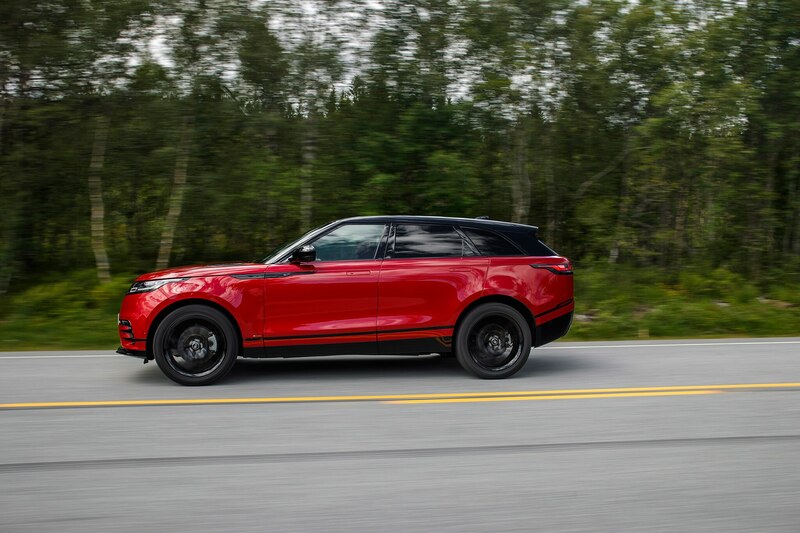 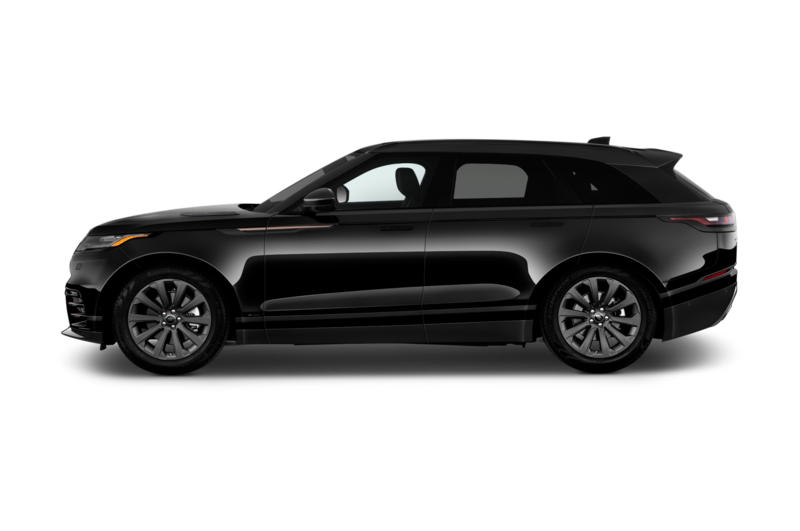 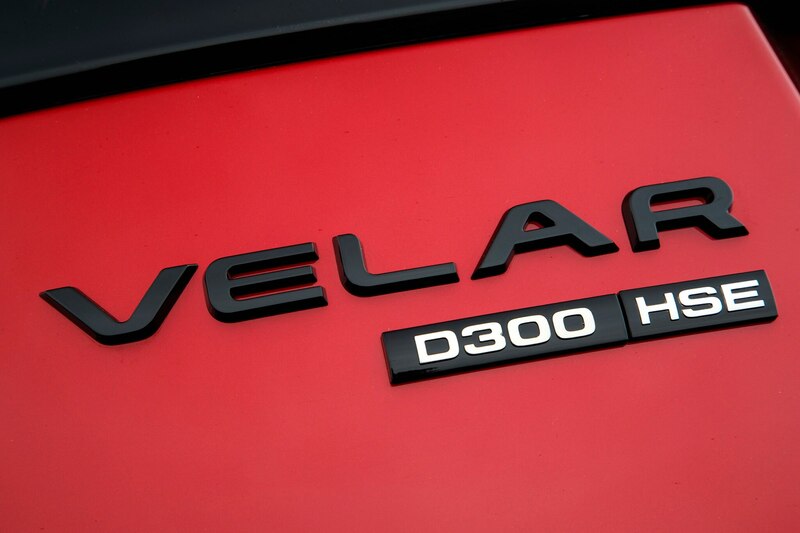 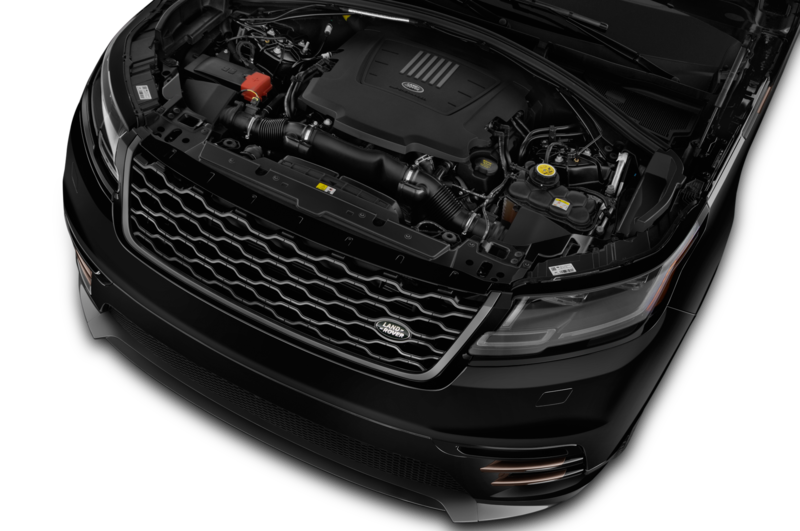 Though we have yet to experience lower end, higher volume models like the base four-cylinder gas ($50,895), four-cylinder diesel ($57,195), or base supercharged V-6 ($65,195), the top-line Velar First Edition knocks it out of the park as a both an instrument of utility and an object of desire.